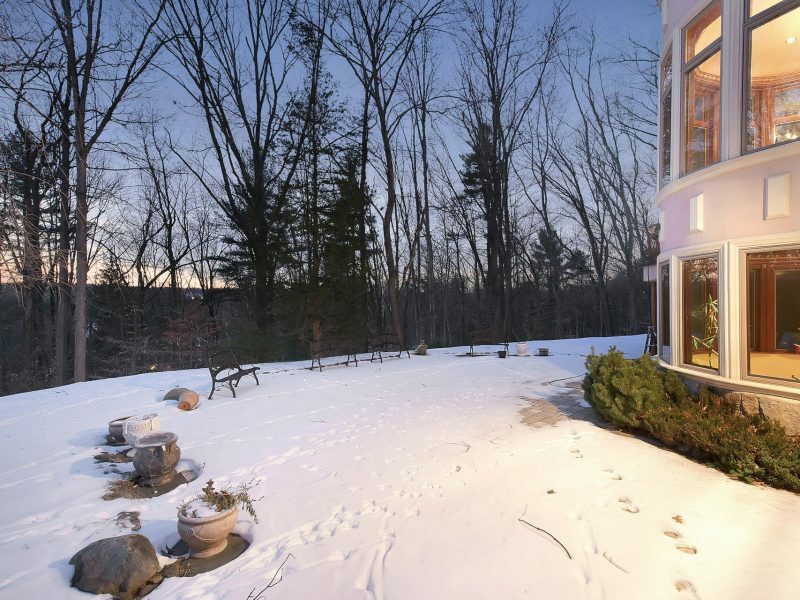 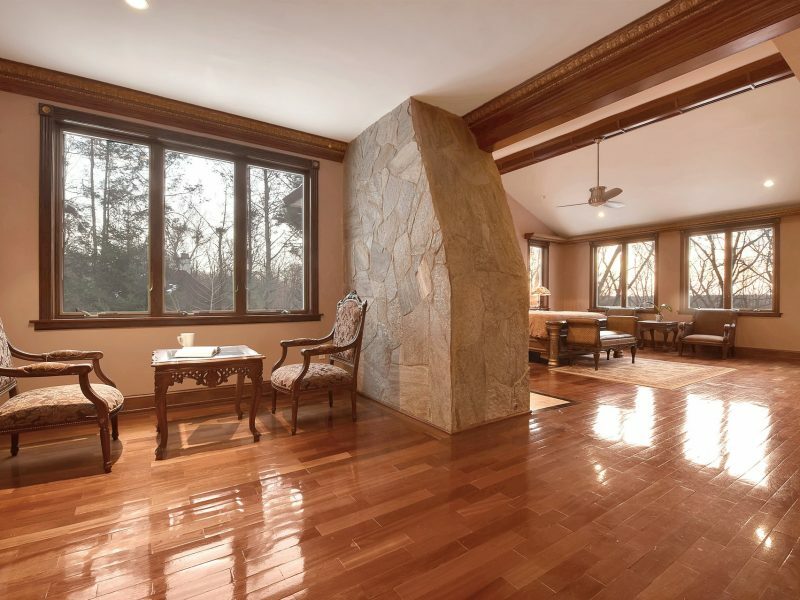 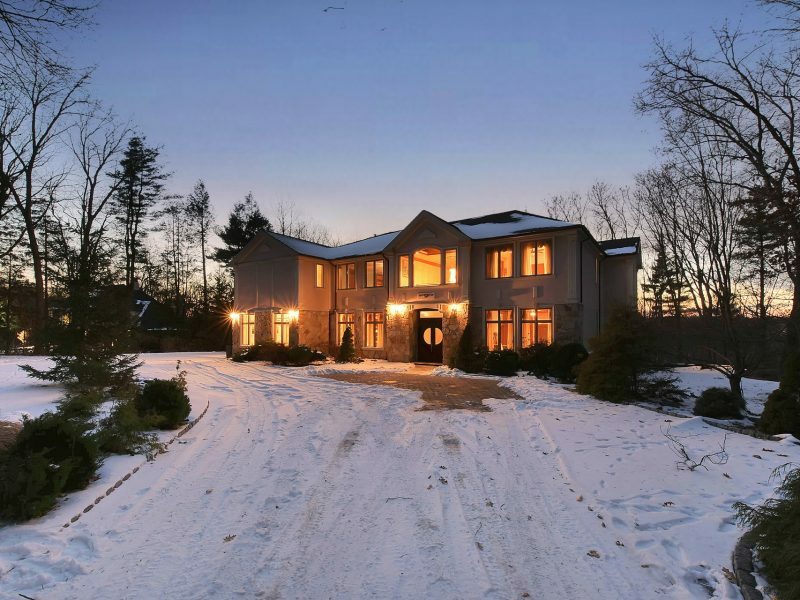 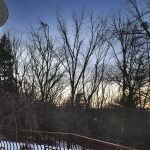 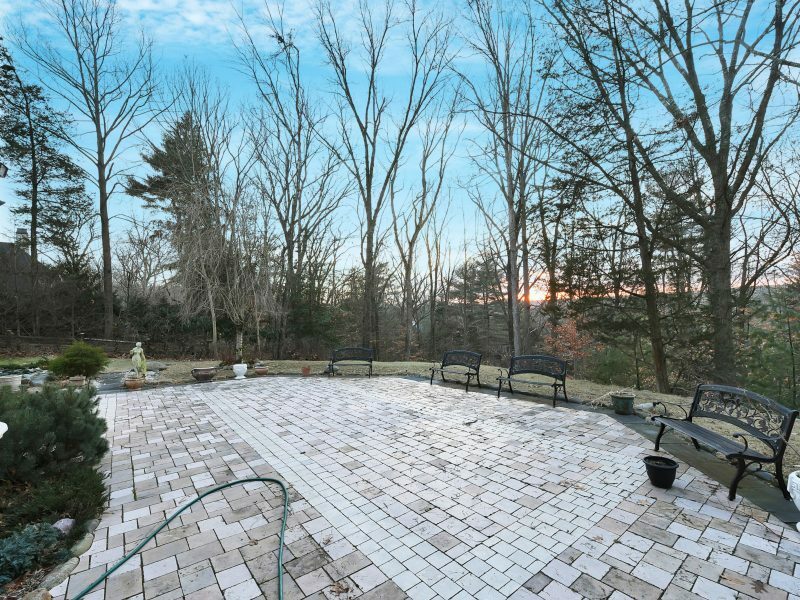 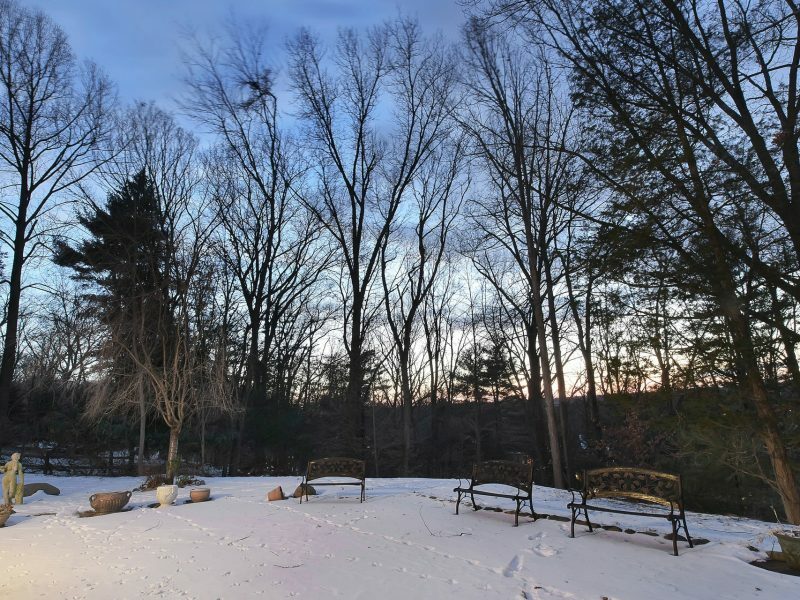 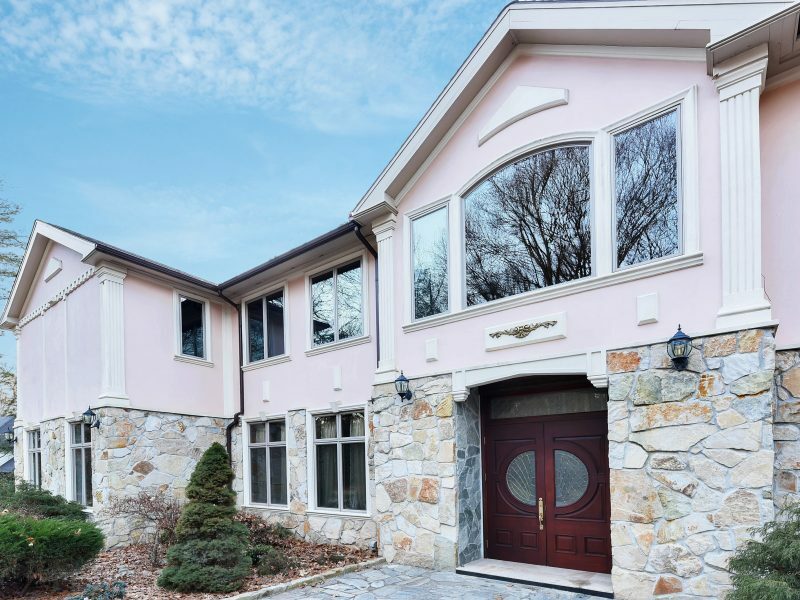 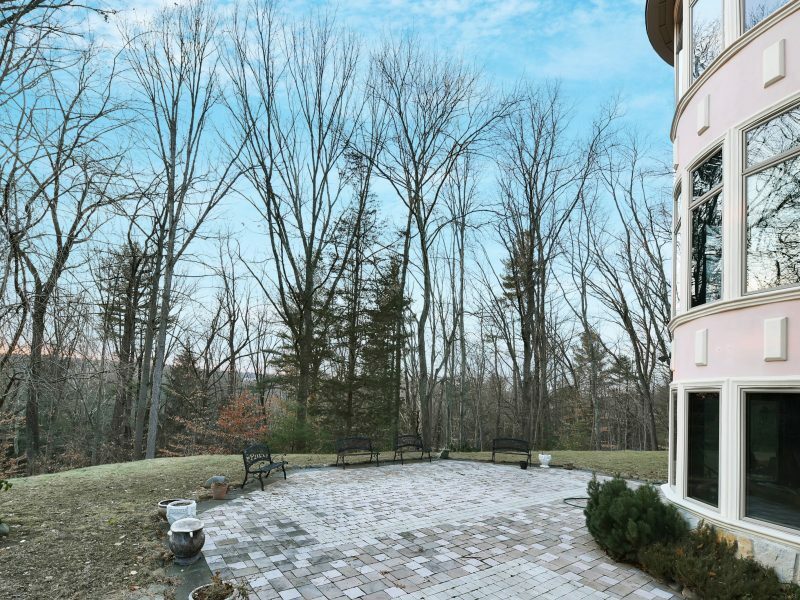 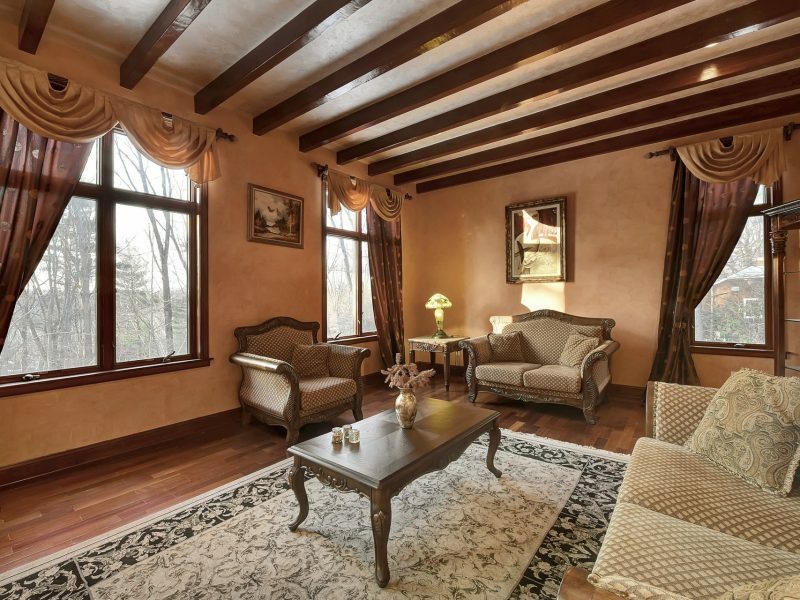 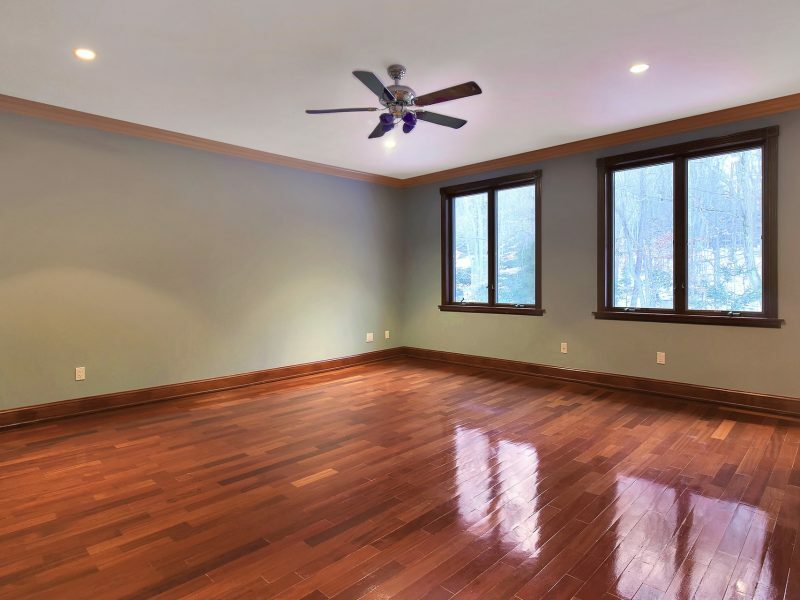 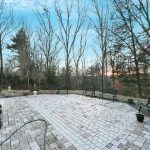 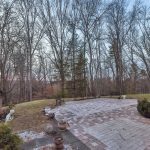 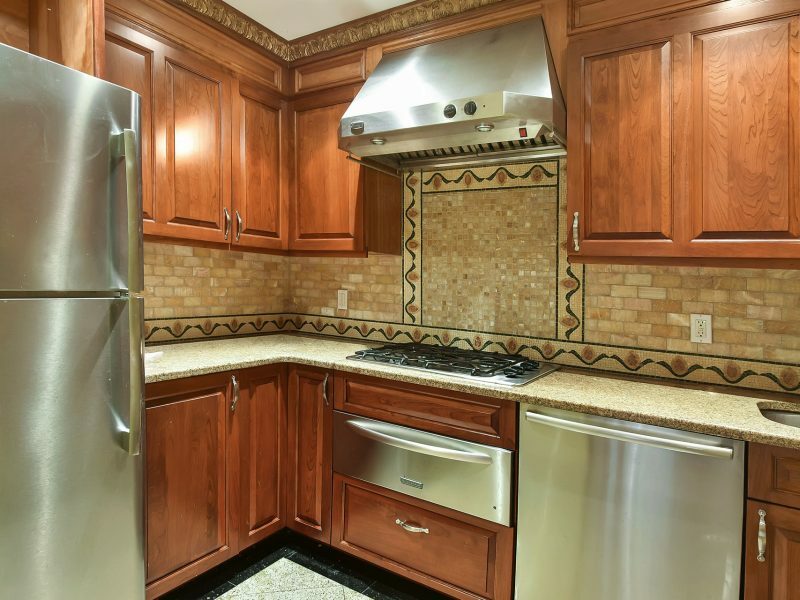 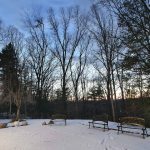 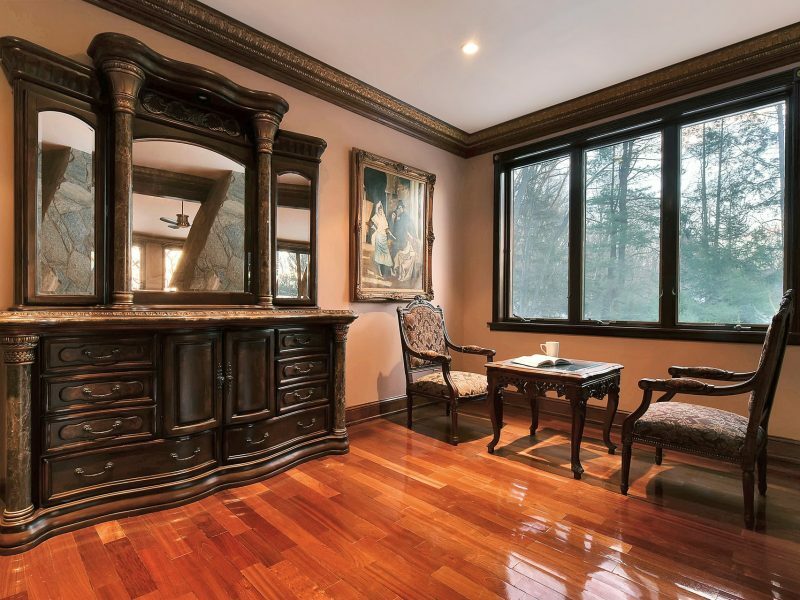 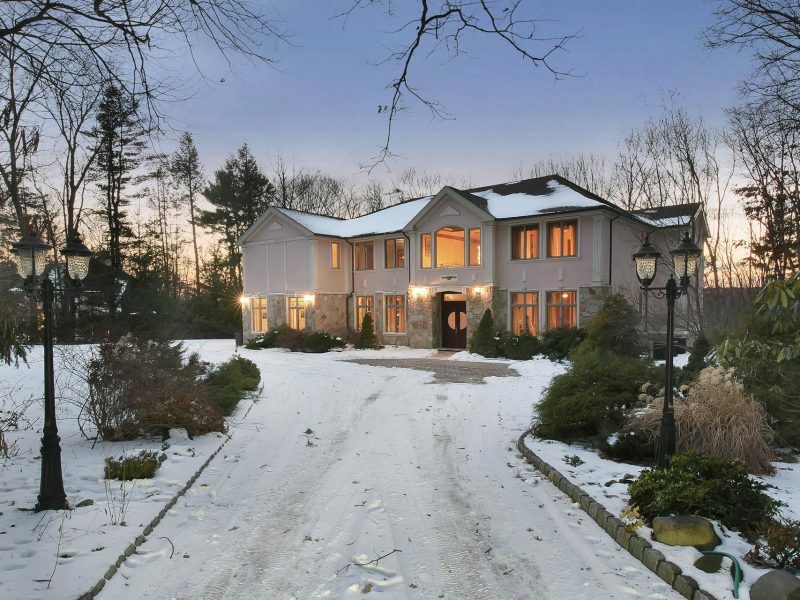 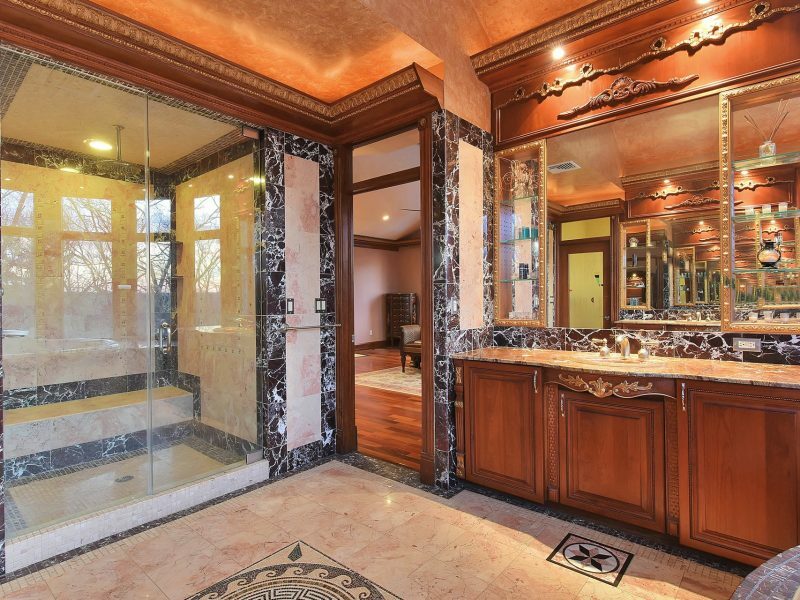 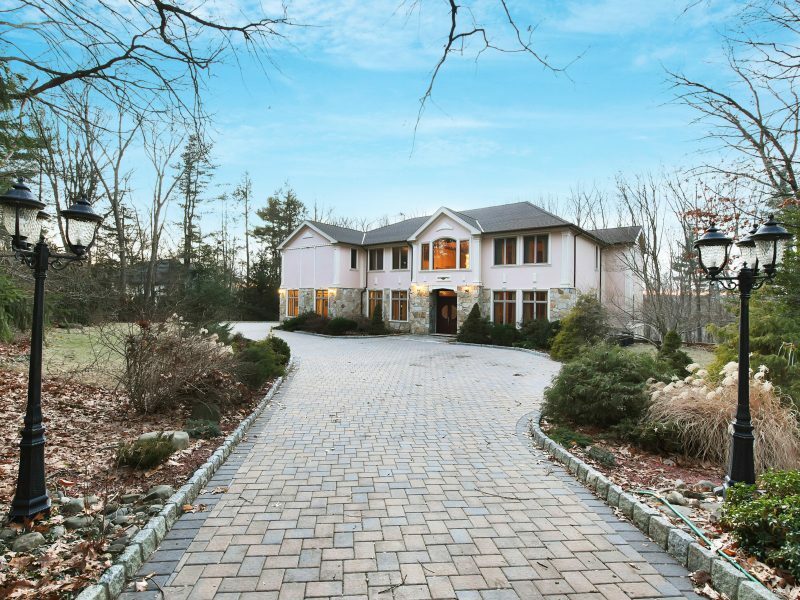 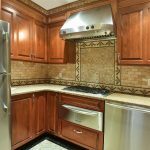 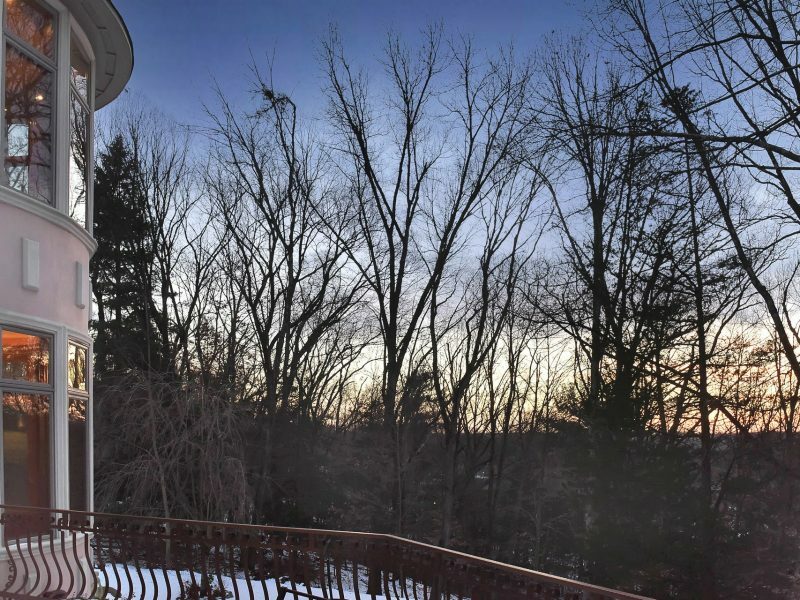 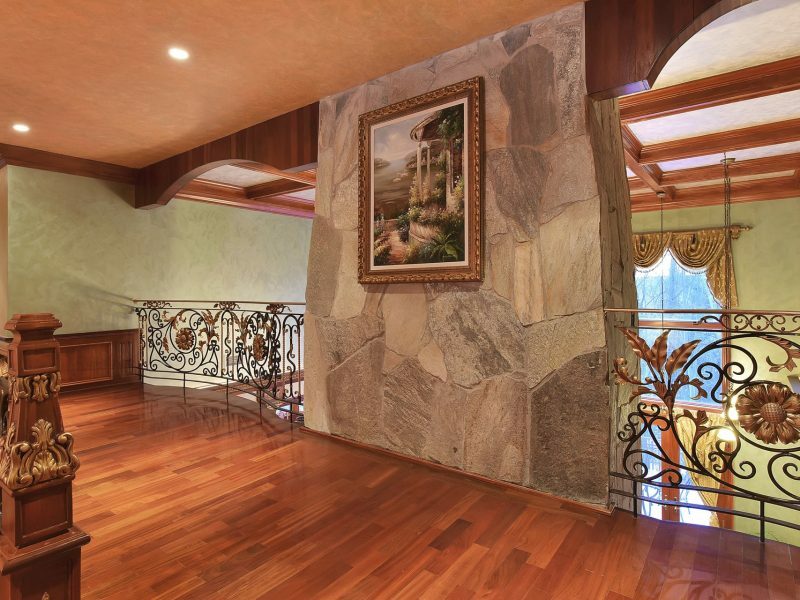 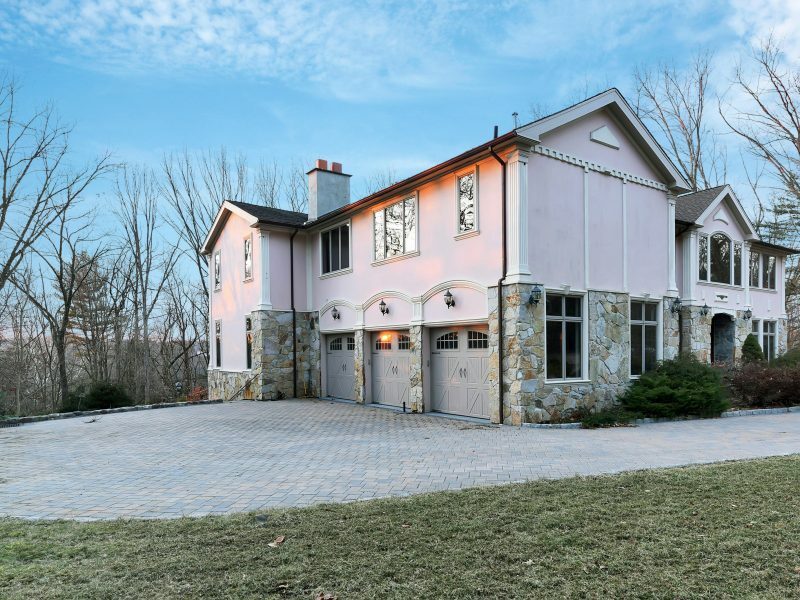 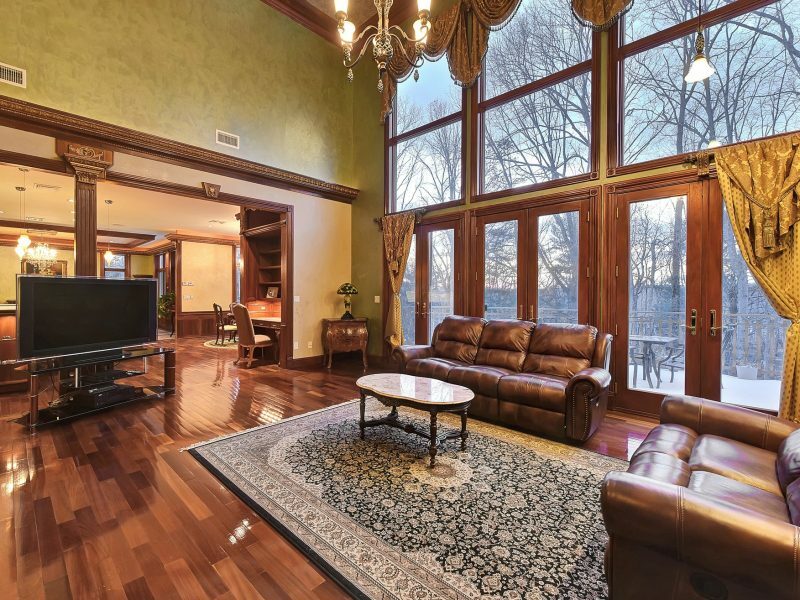 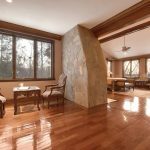 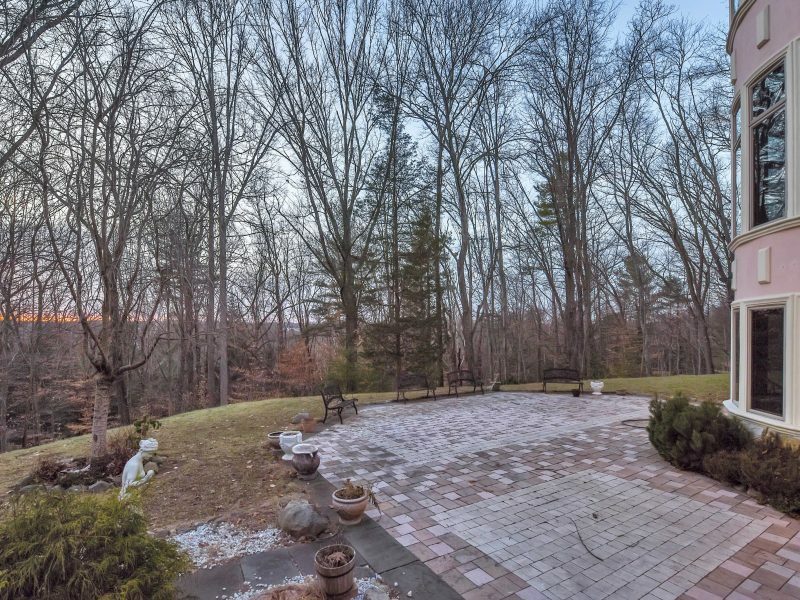 Located in Saddle River at the end of a desirable cul-de-sac sits this approx. 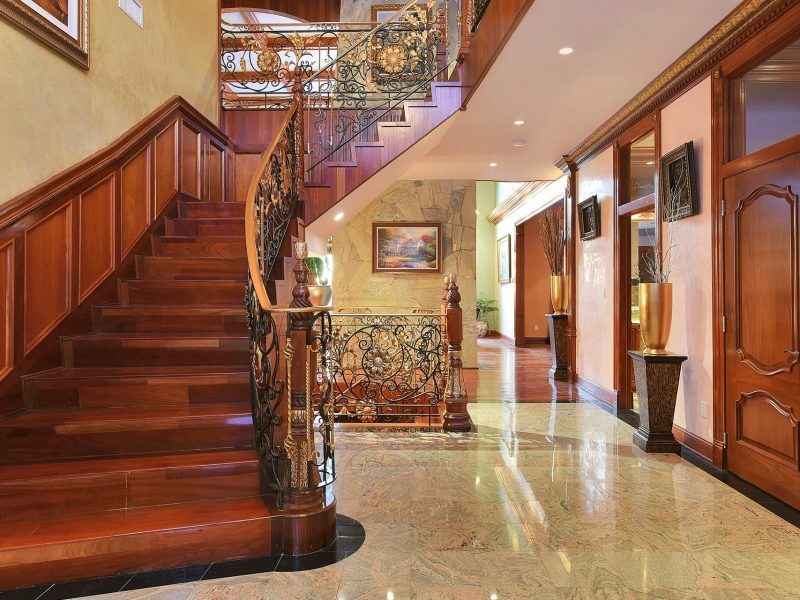 10,000+ SF custom built estate. 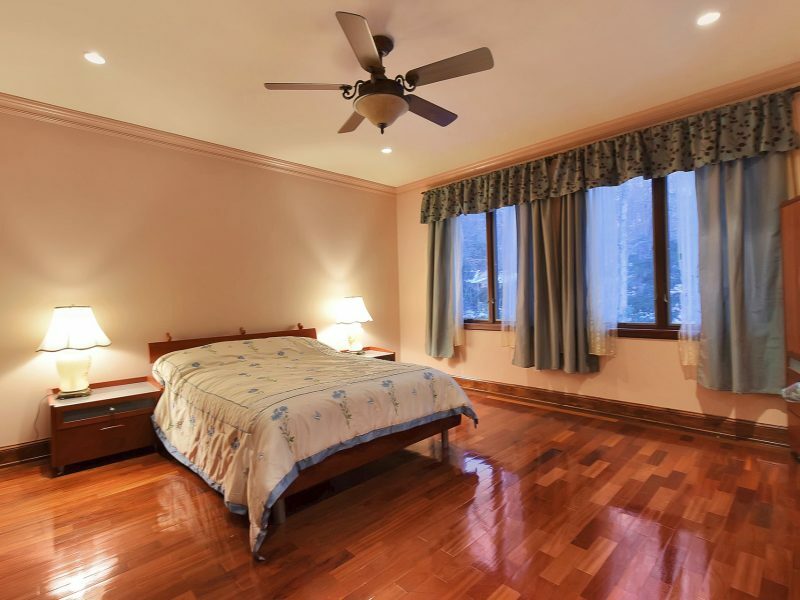 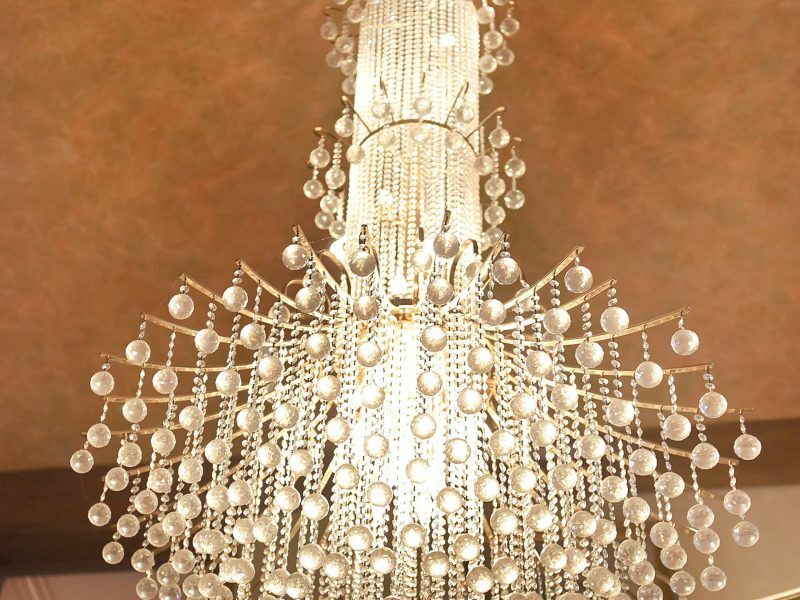 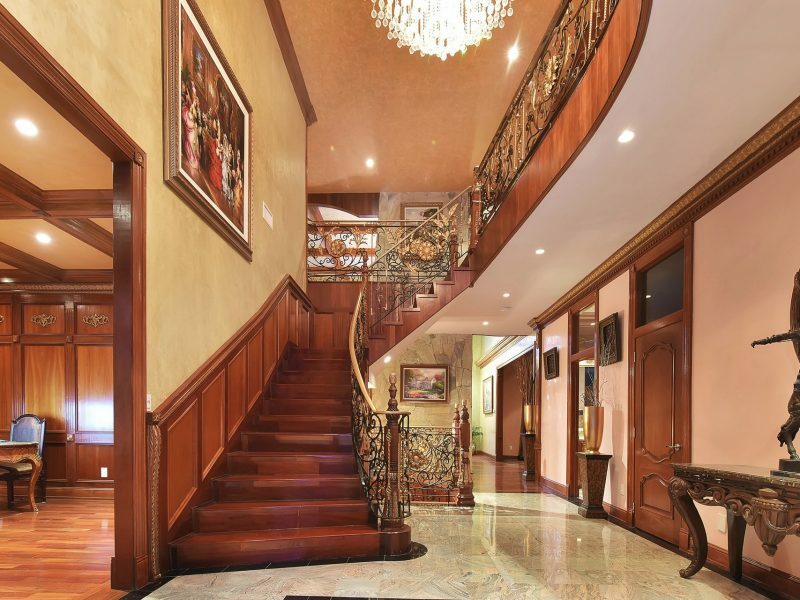 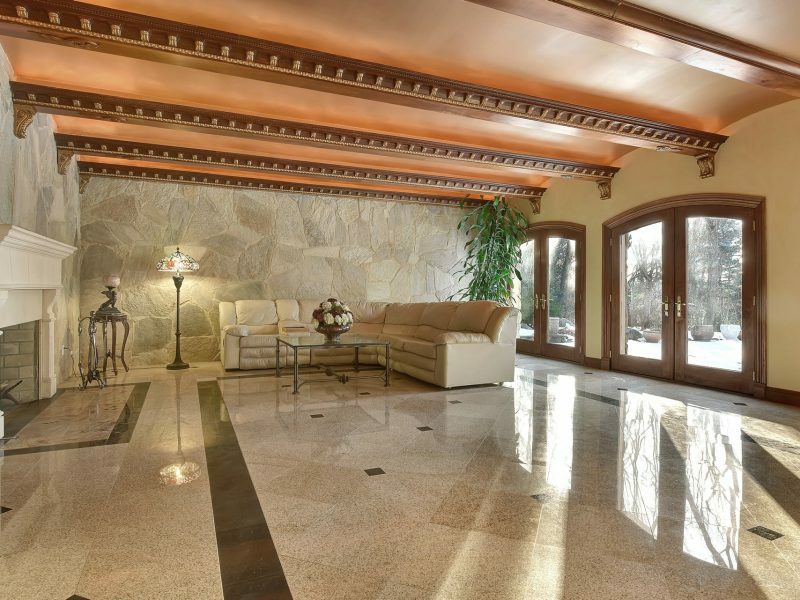 The pristine interiors of this home exude quality and sophistication throughout. 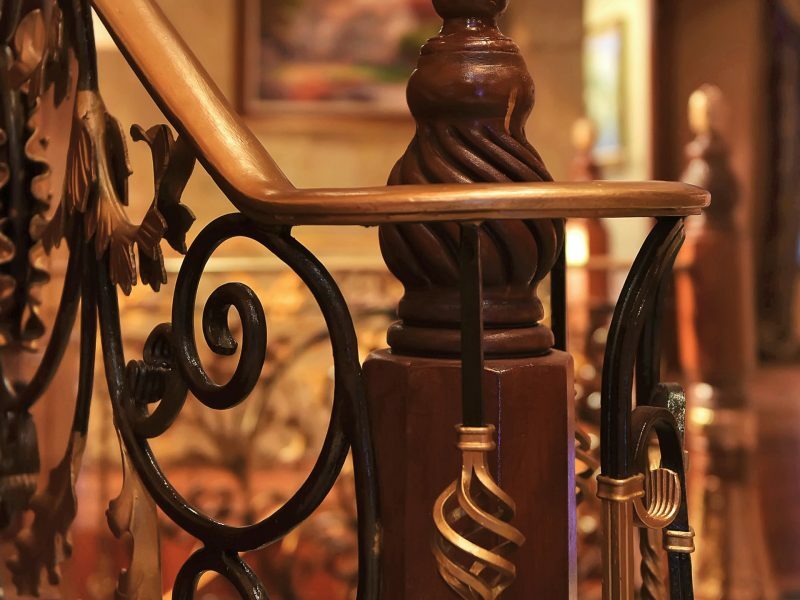 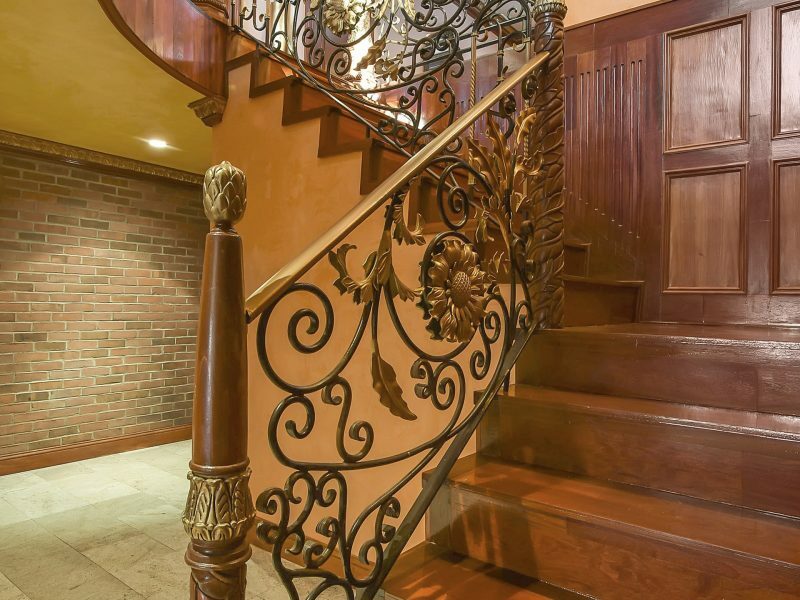 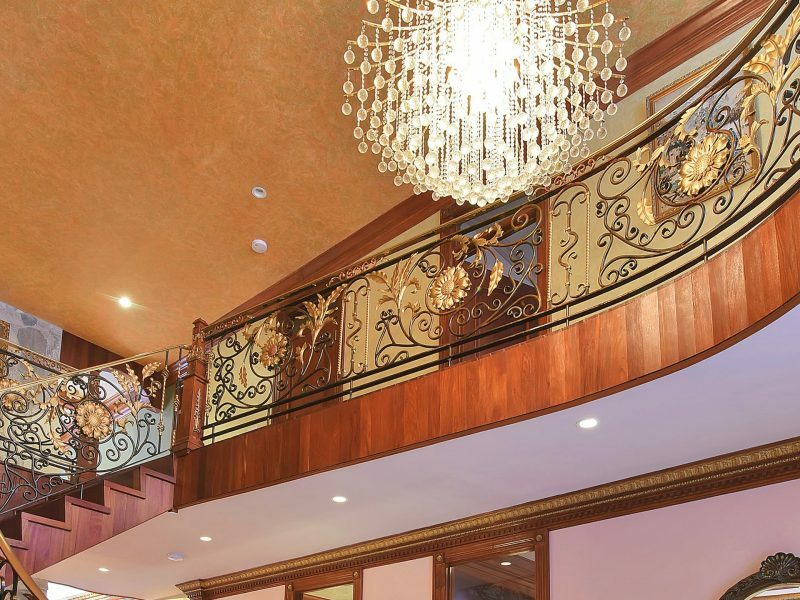 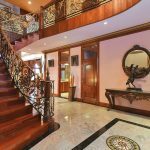 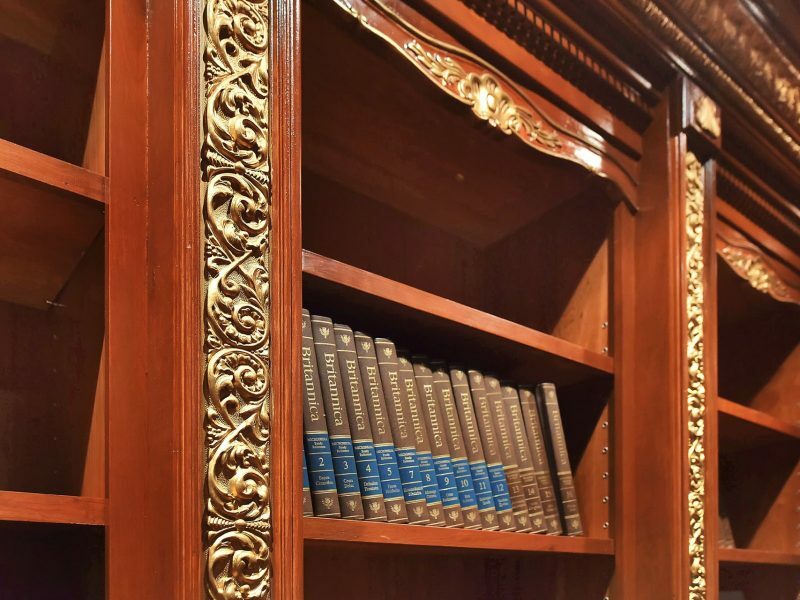 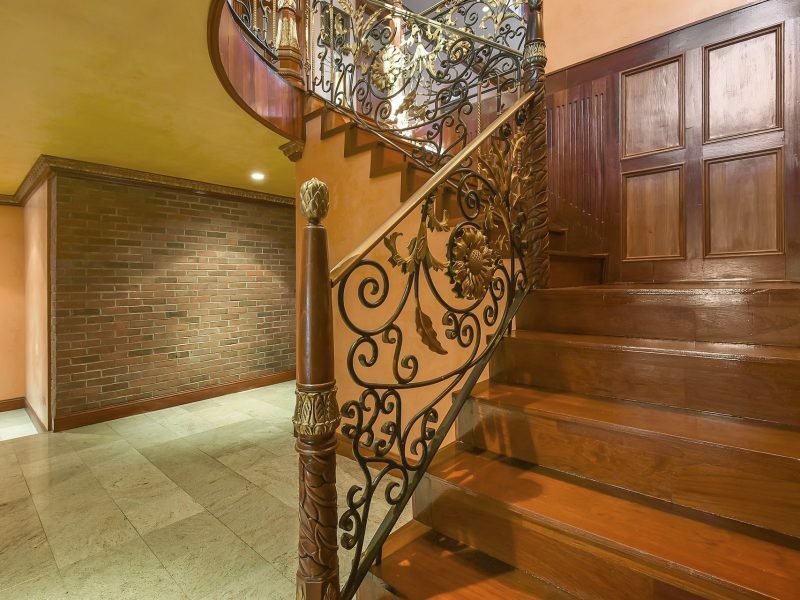 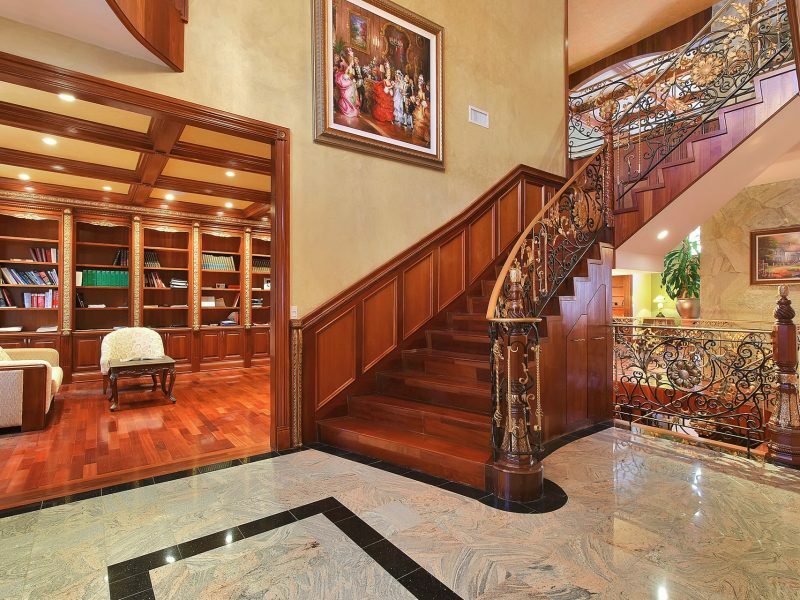 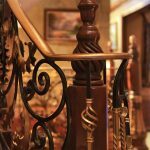 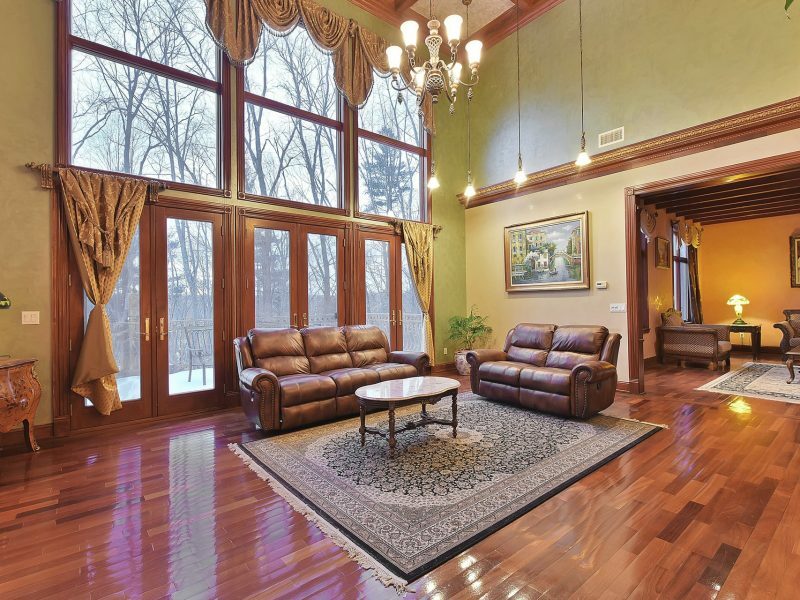 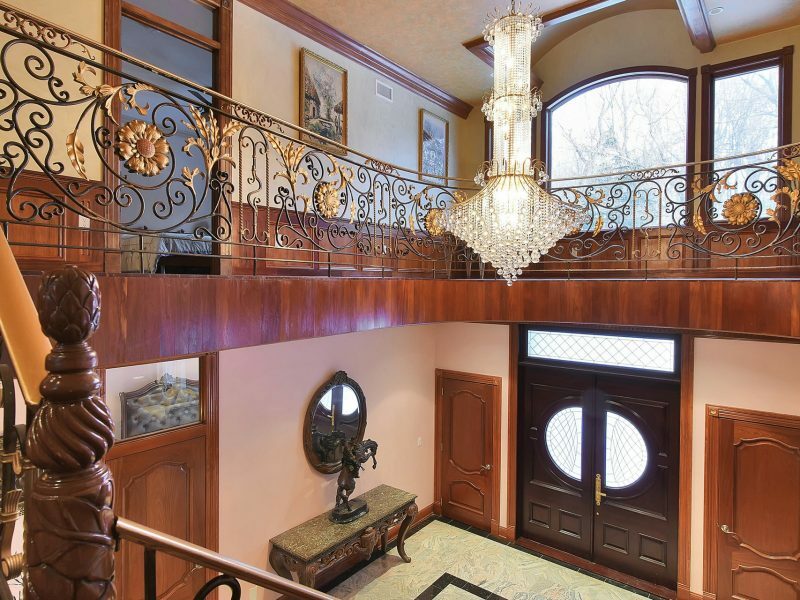 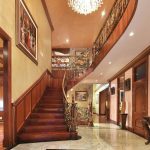 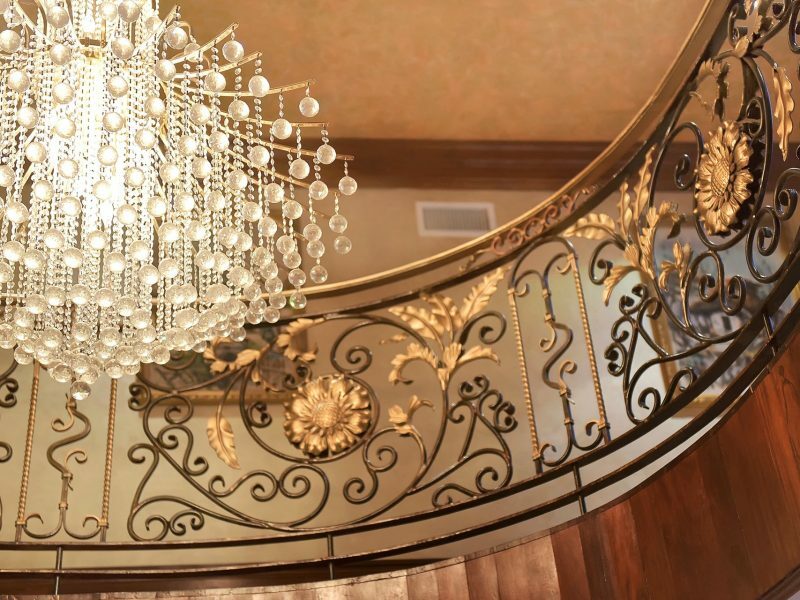 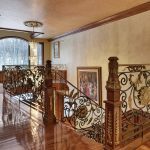 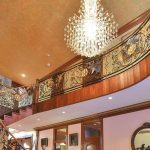 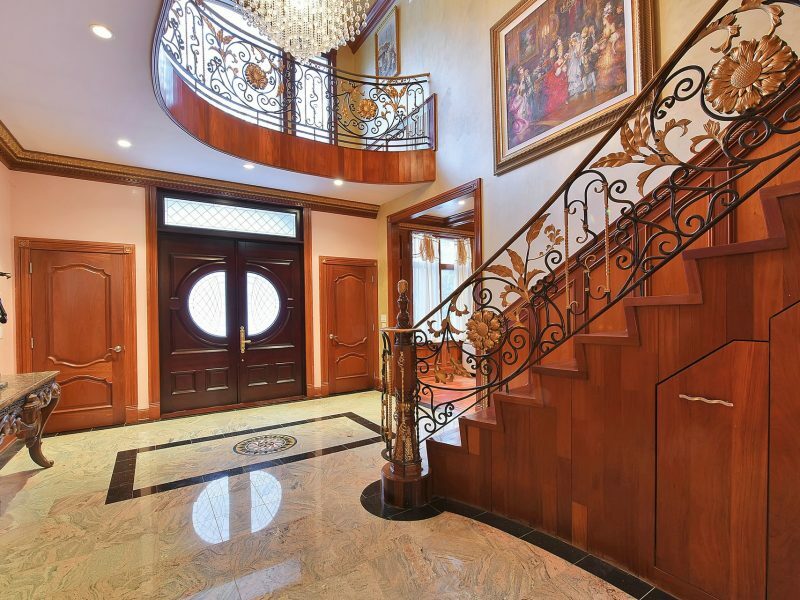 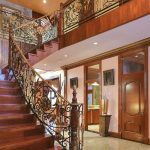 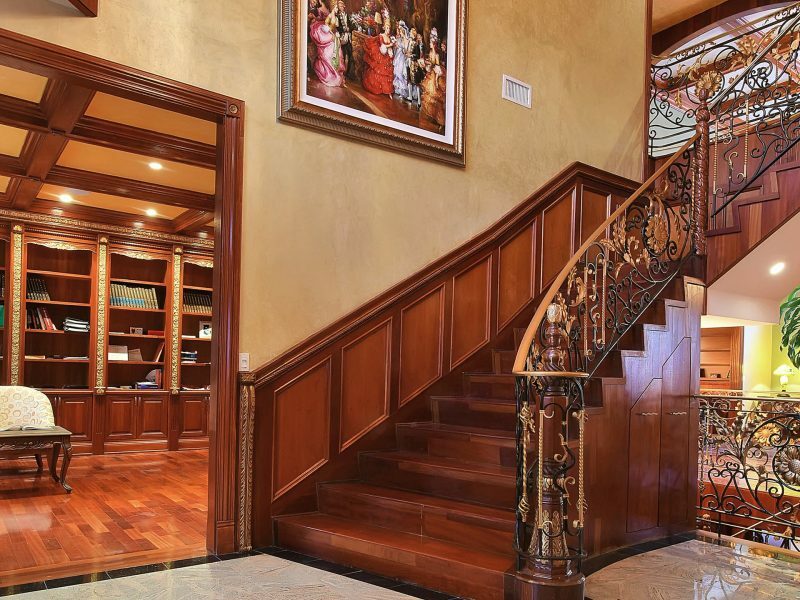 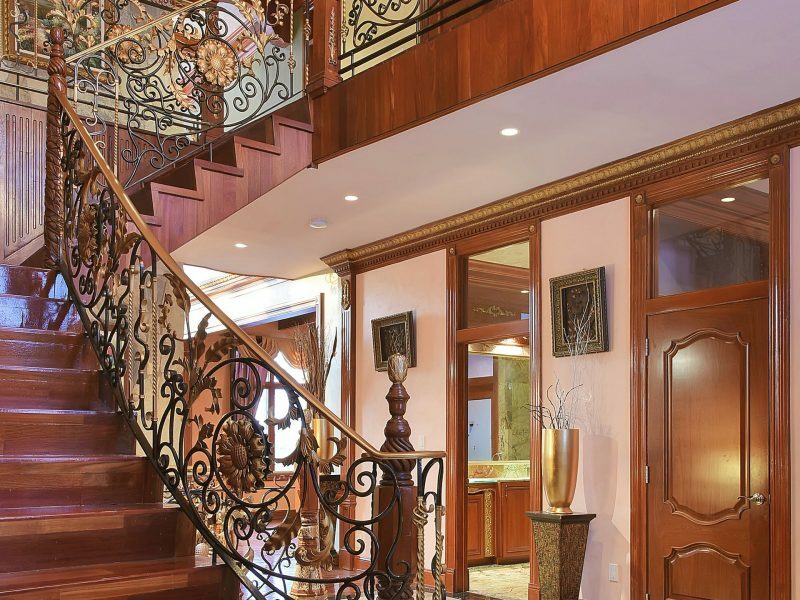 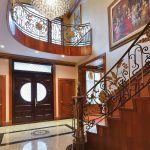 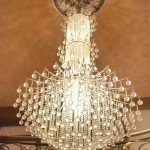 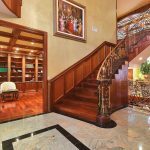 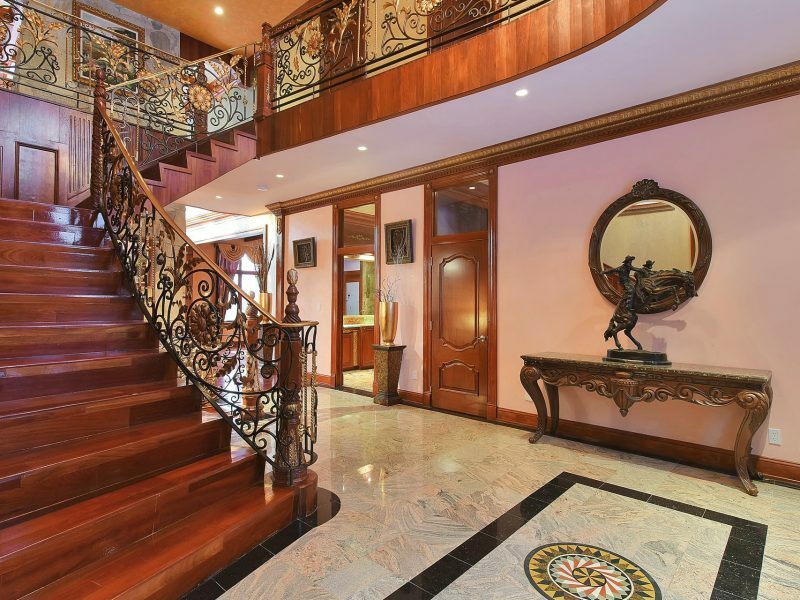 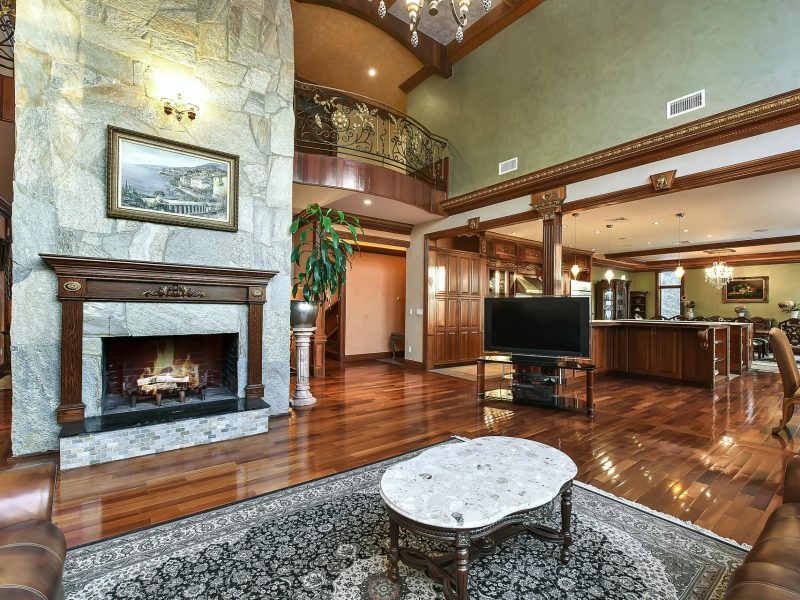 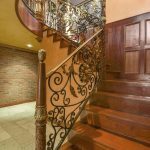 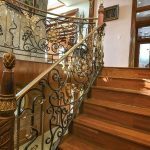 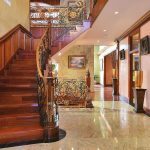 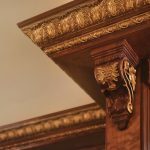 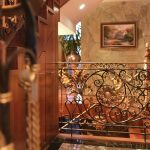 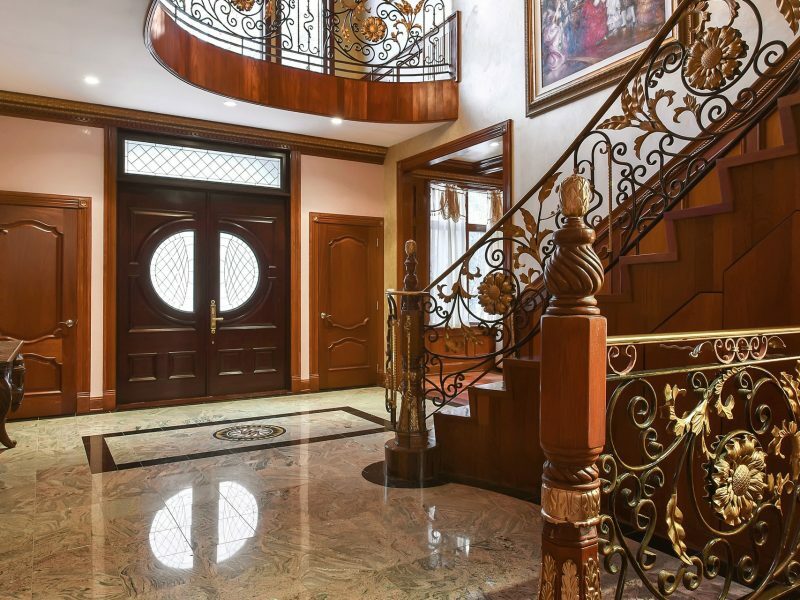 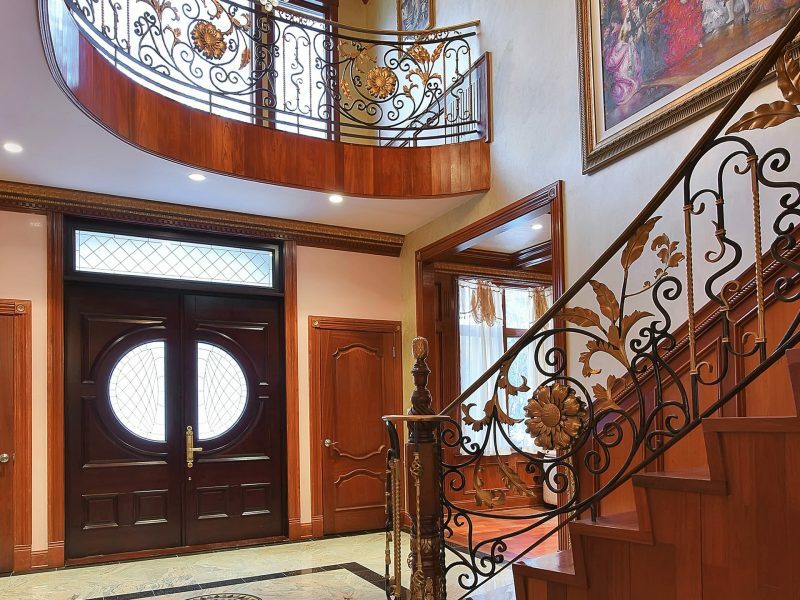 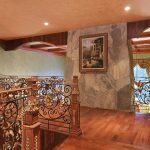 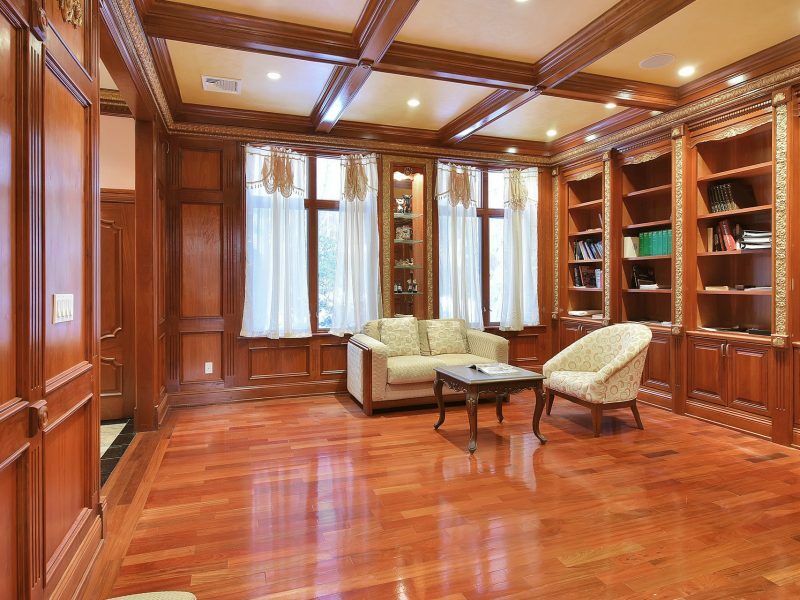 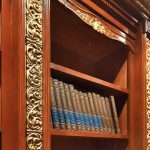 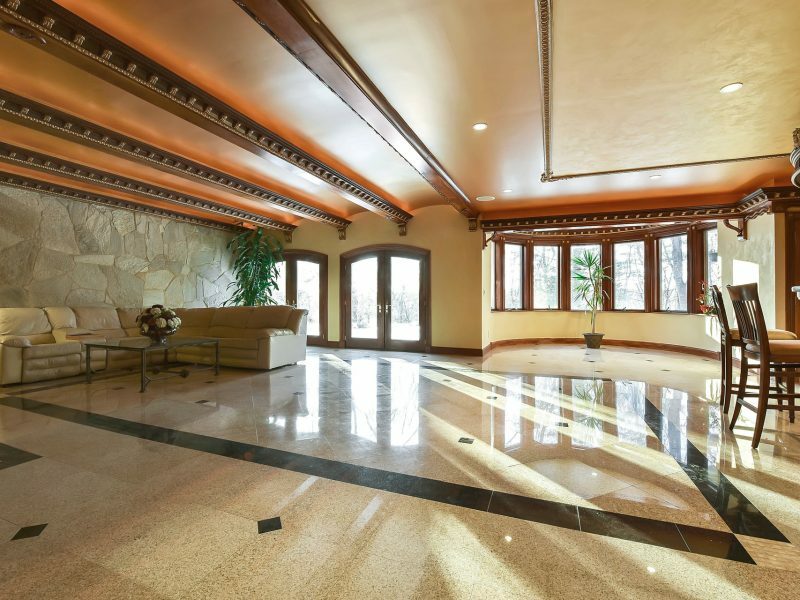 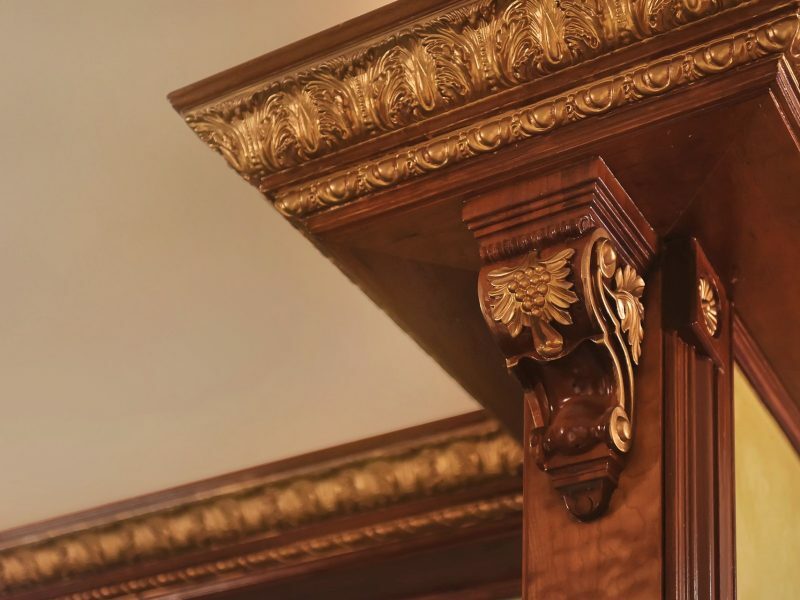 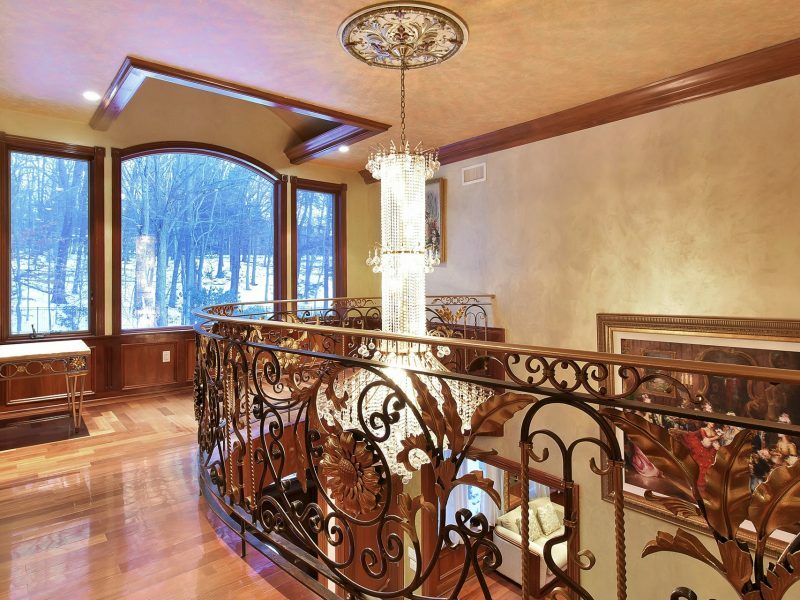 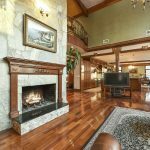 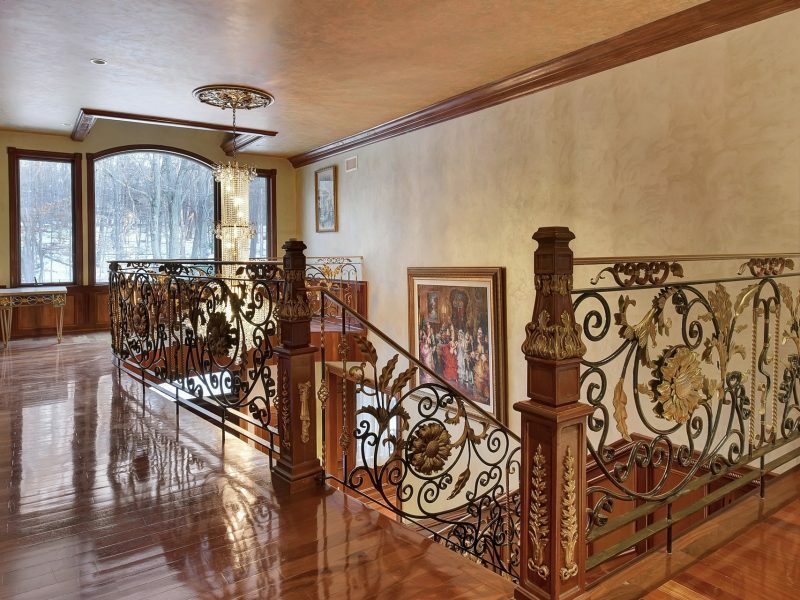 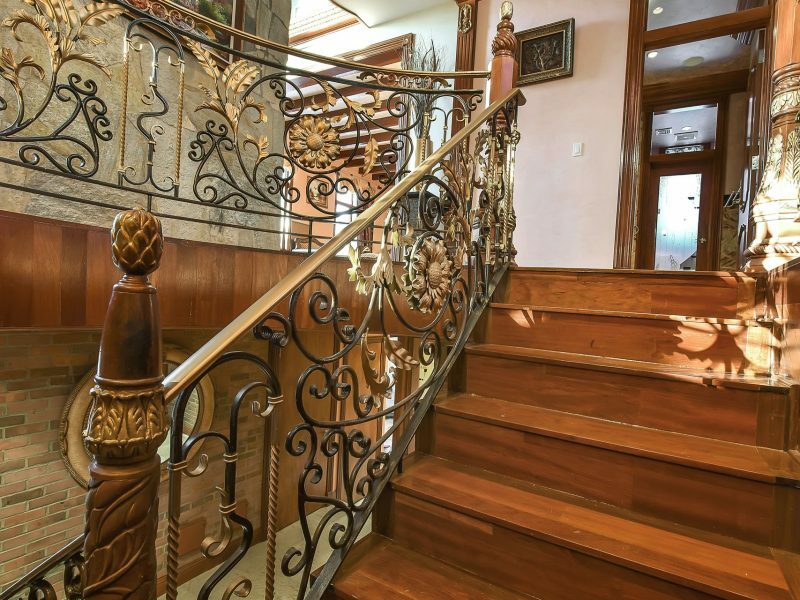 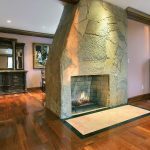 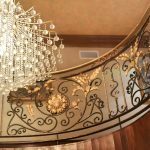 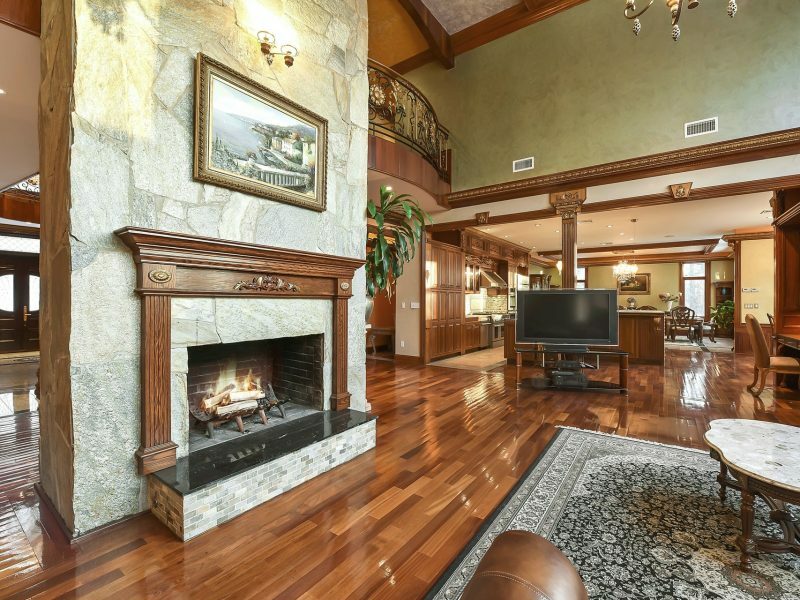 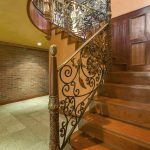 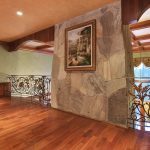 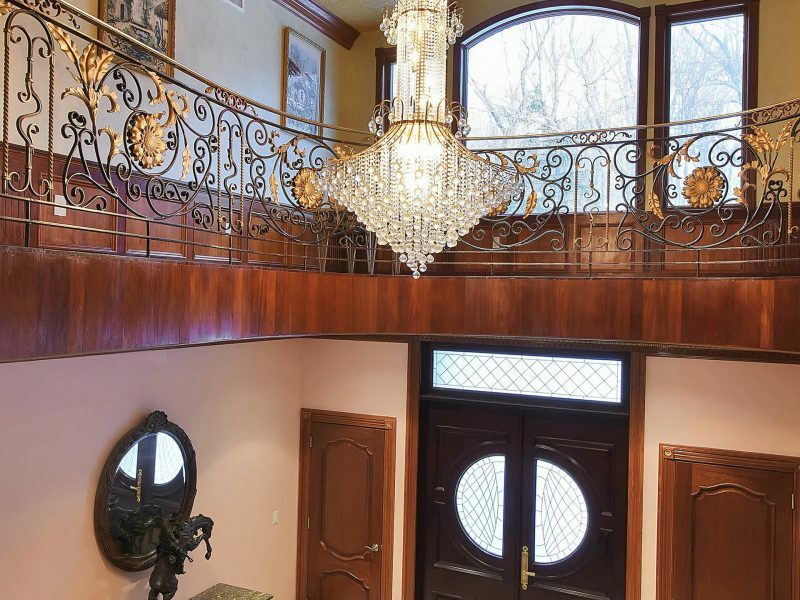 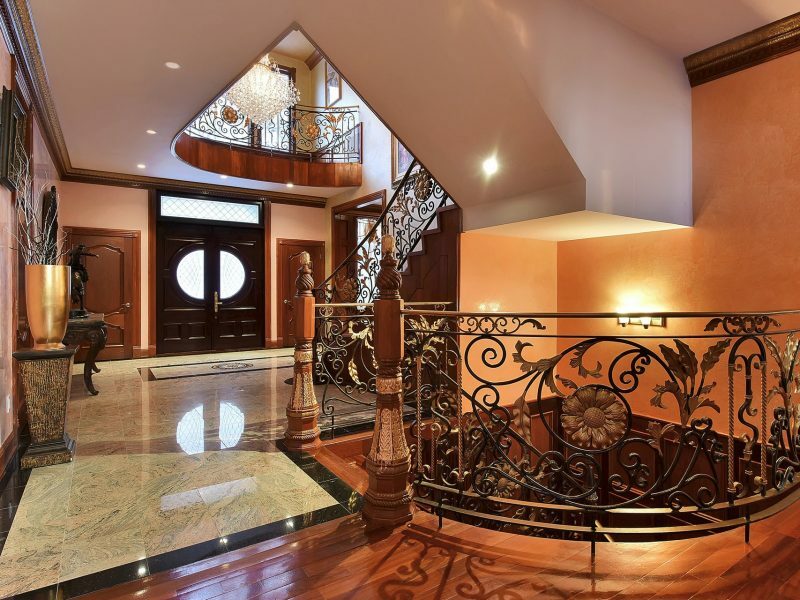 Enter through the expansive double story entrance foyer and you are immediately embraced with custom hand carved cherry and mahogany millwork. 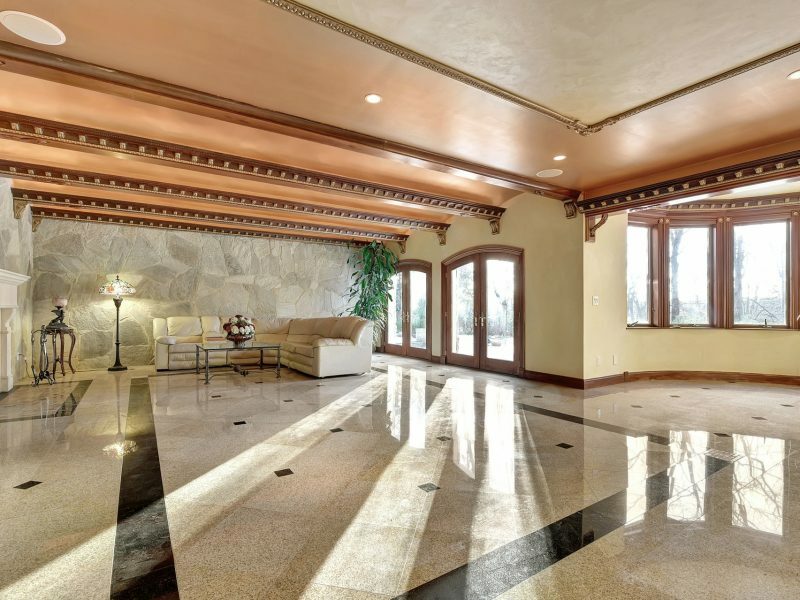 The impressive open floor plan is perfect for entertaining. 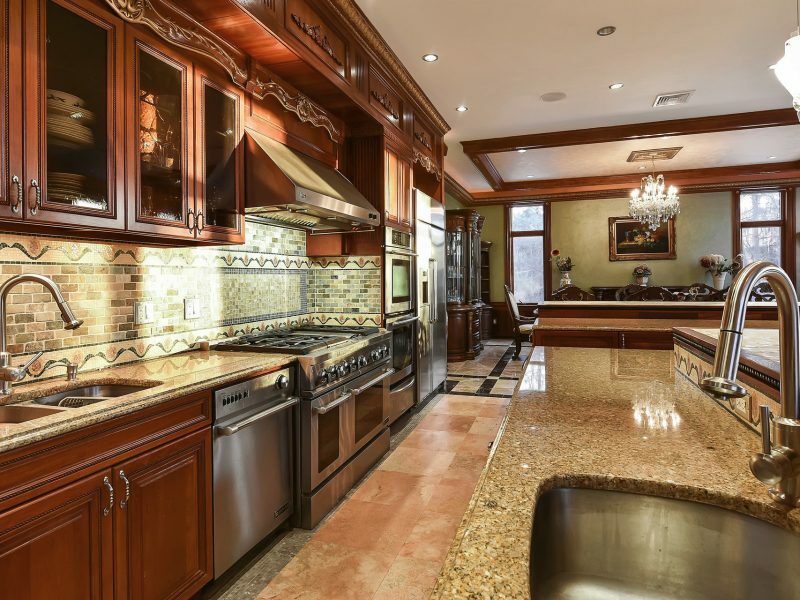 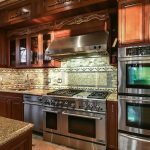 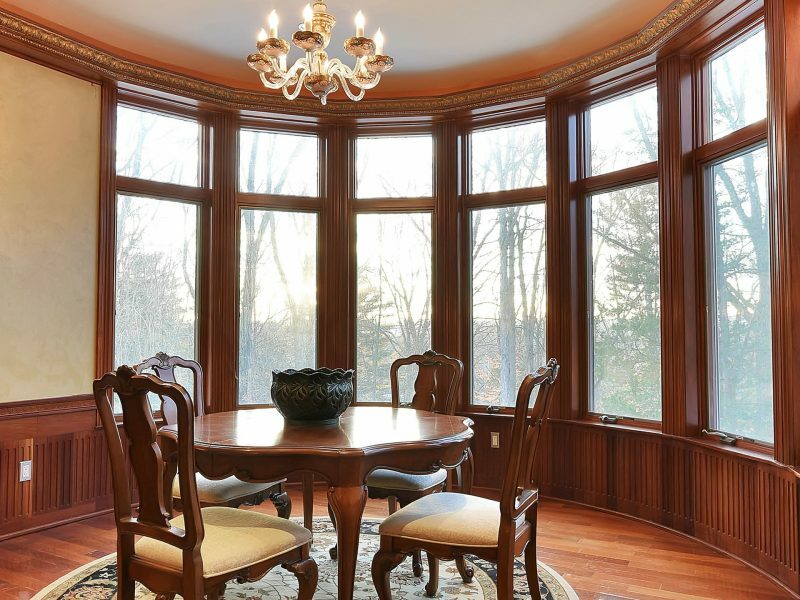 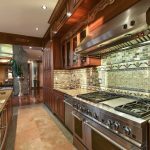 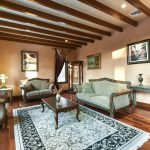 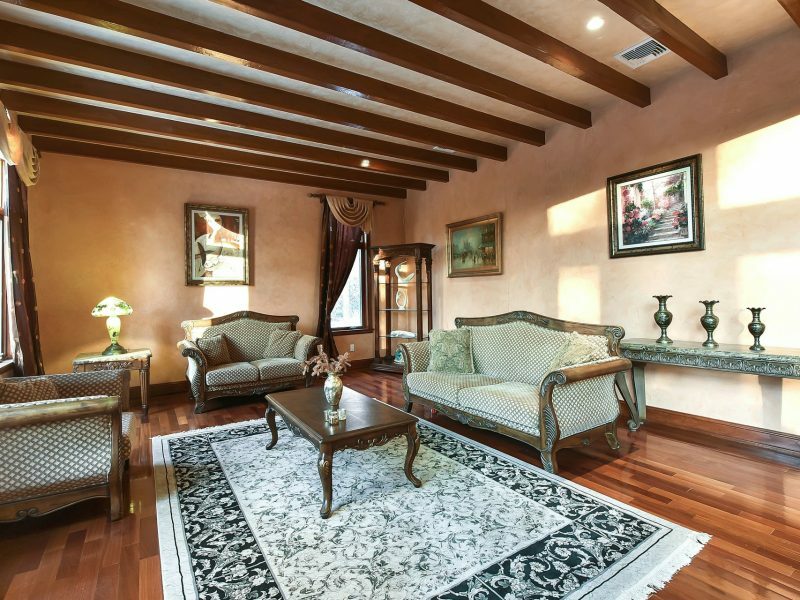 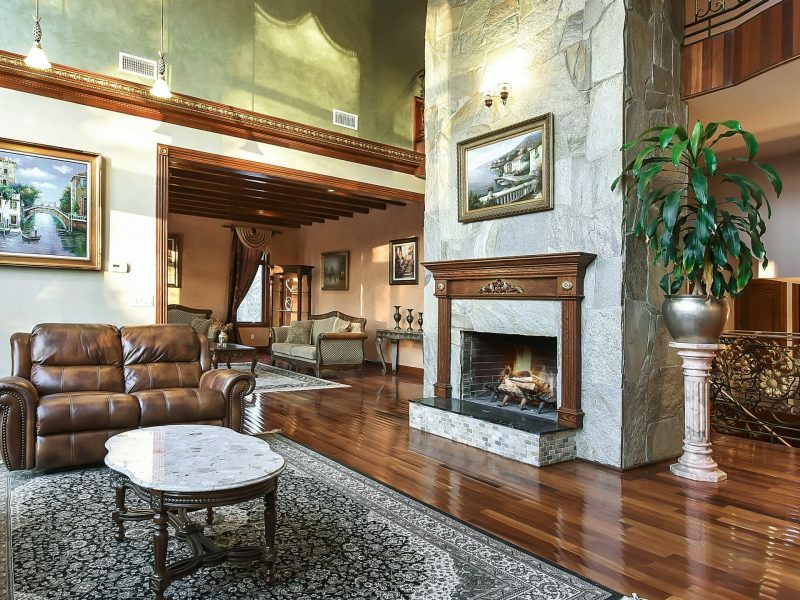 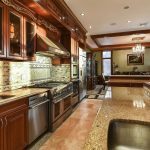 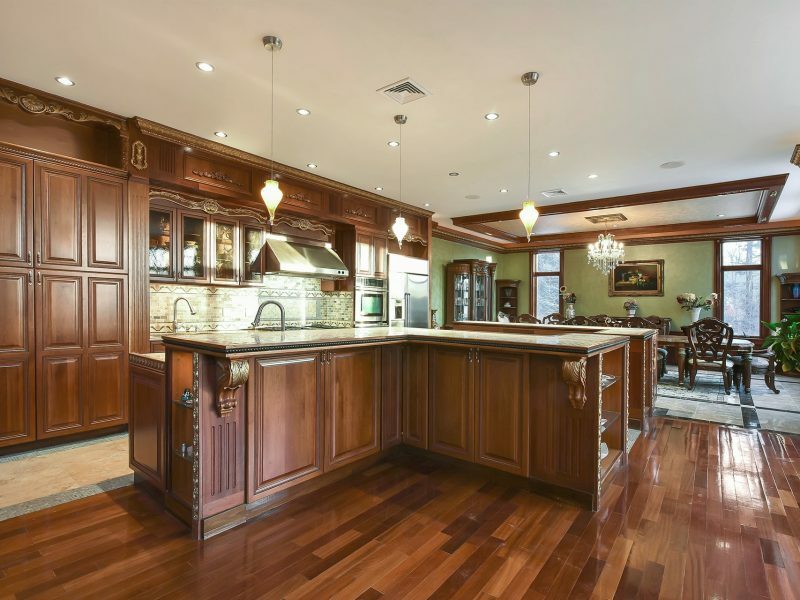 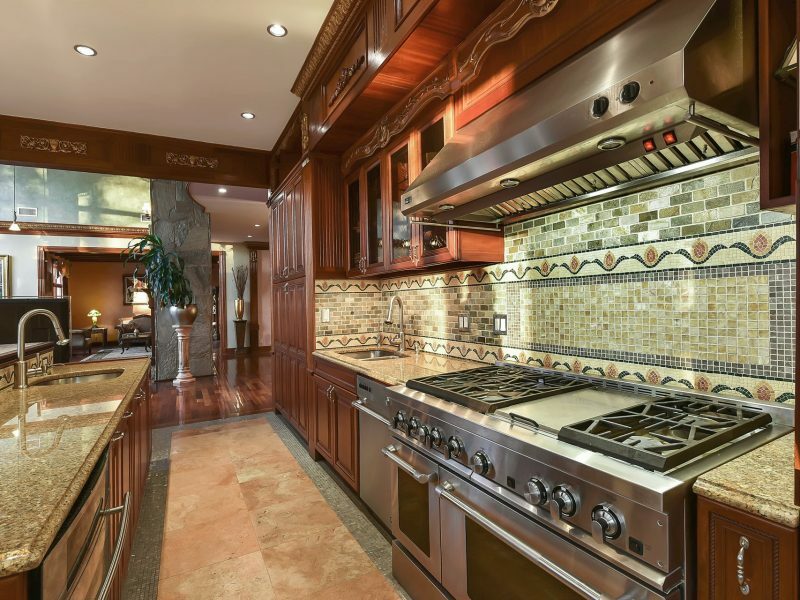 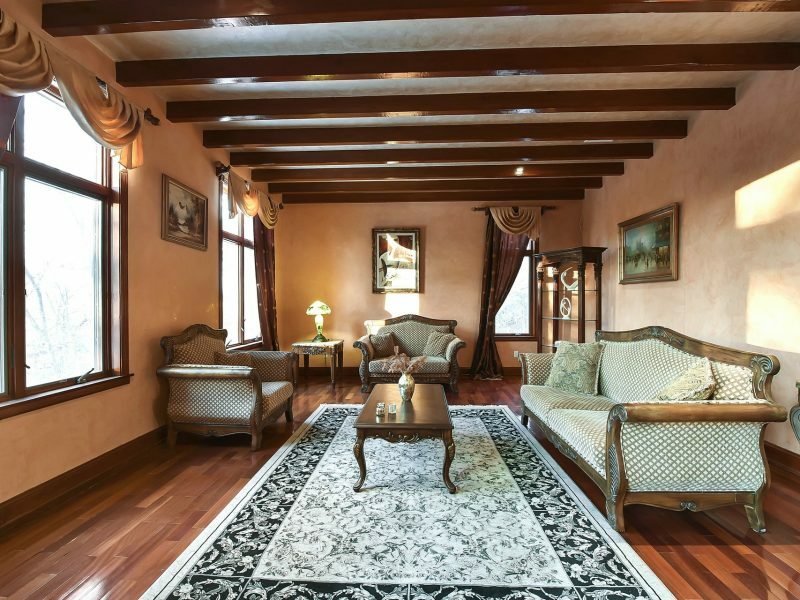 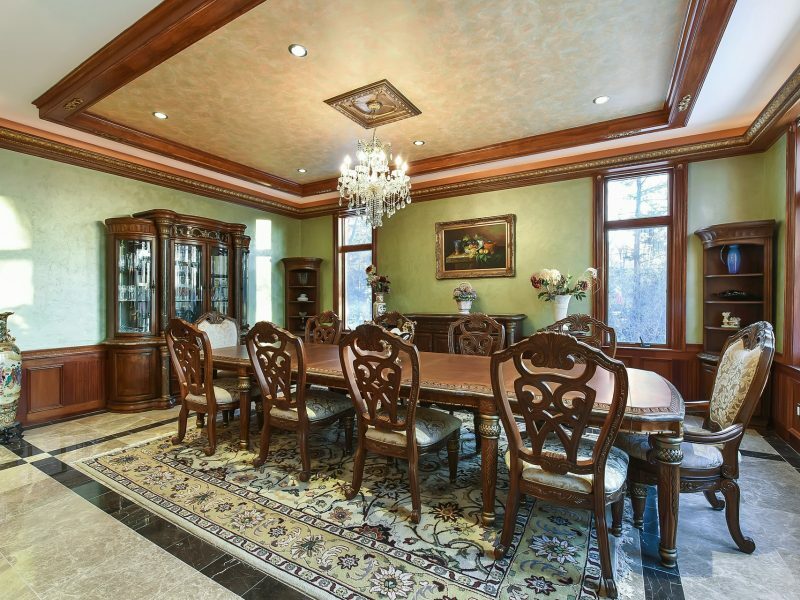 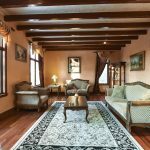 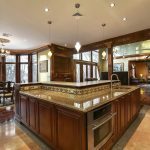 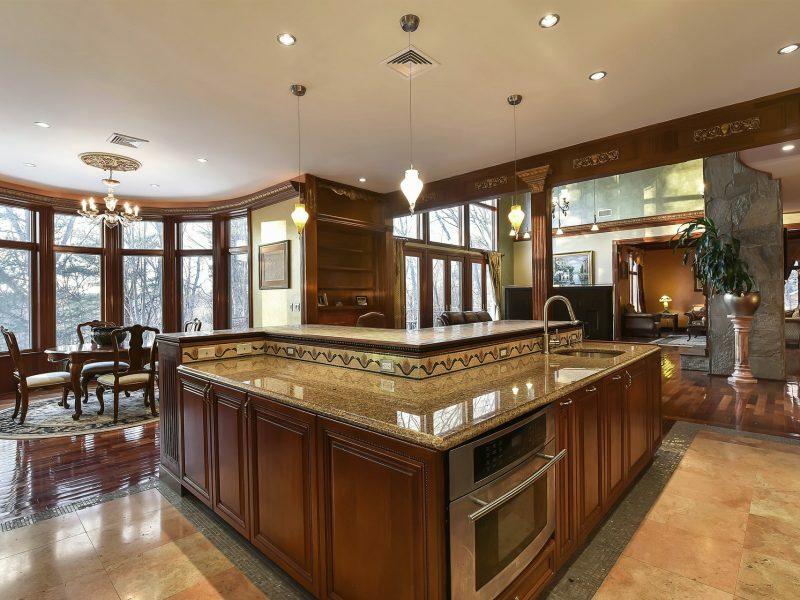 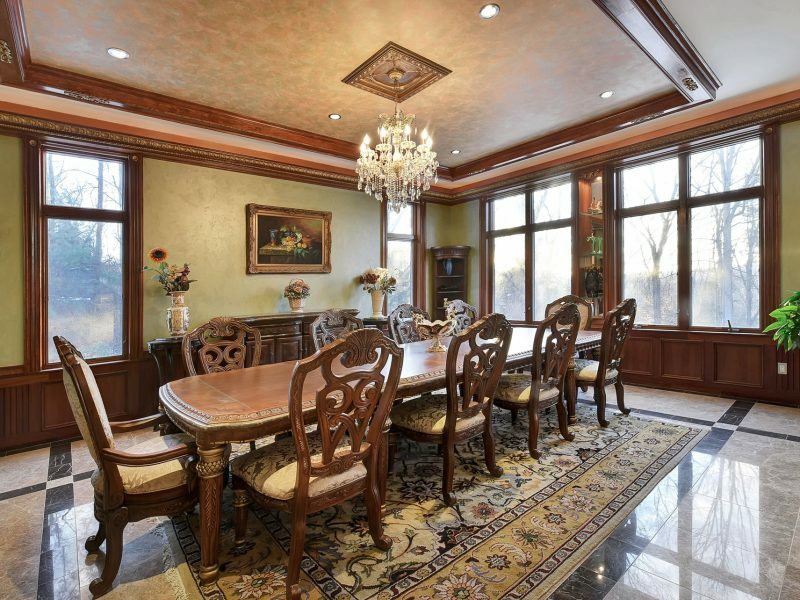 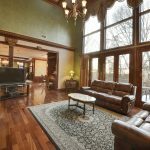 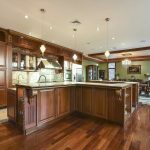 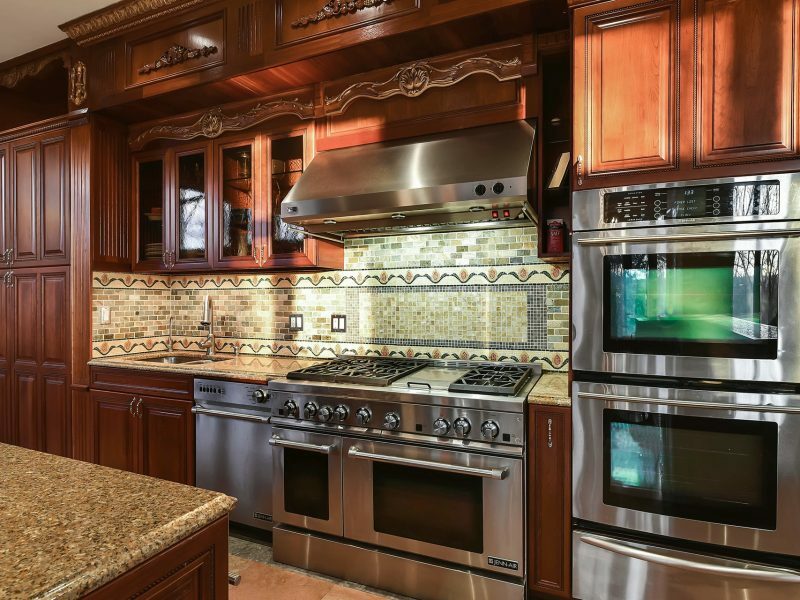 The oversized gourmet eat-in kitchen, formal dining room, living room, 2-story great room and custom paneled office each boast quality cherry wood floors, detailed moldings and high ceilings. 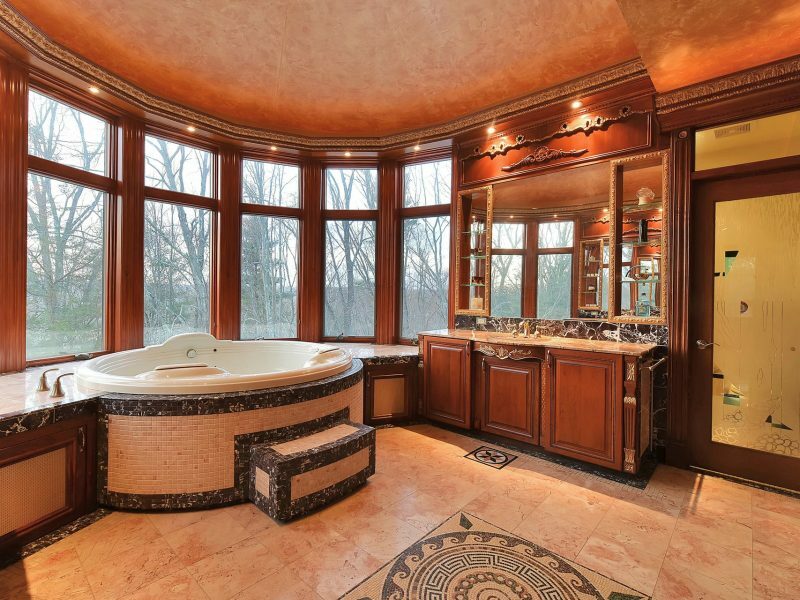 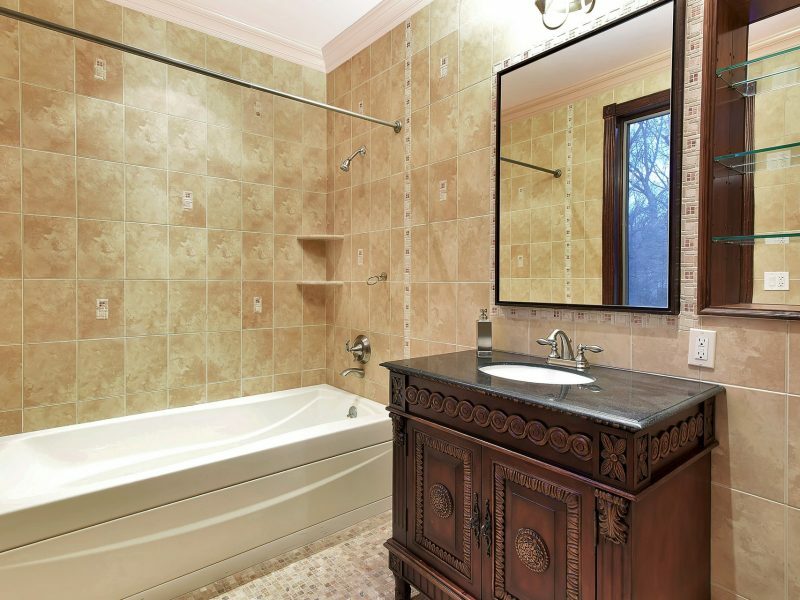 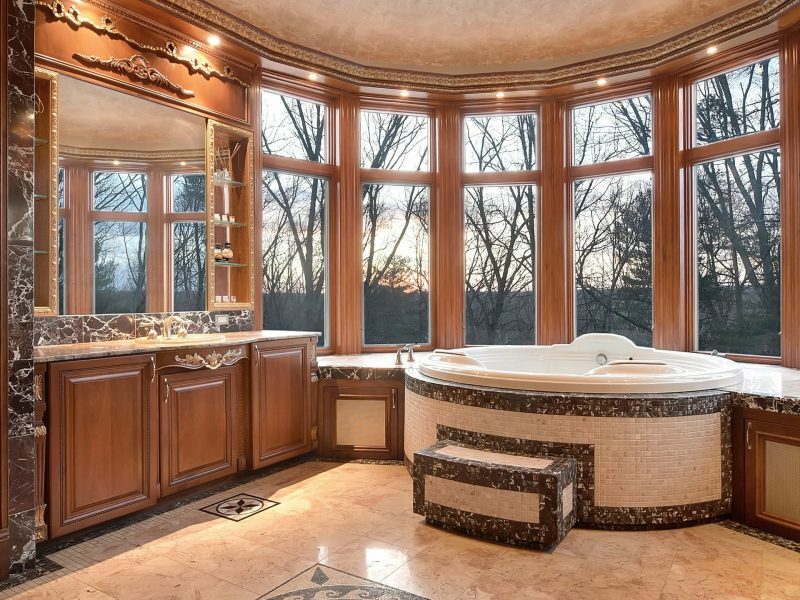 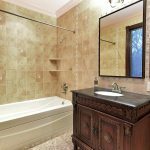 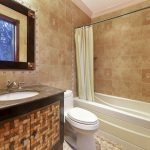 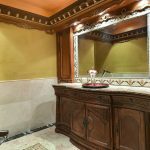 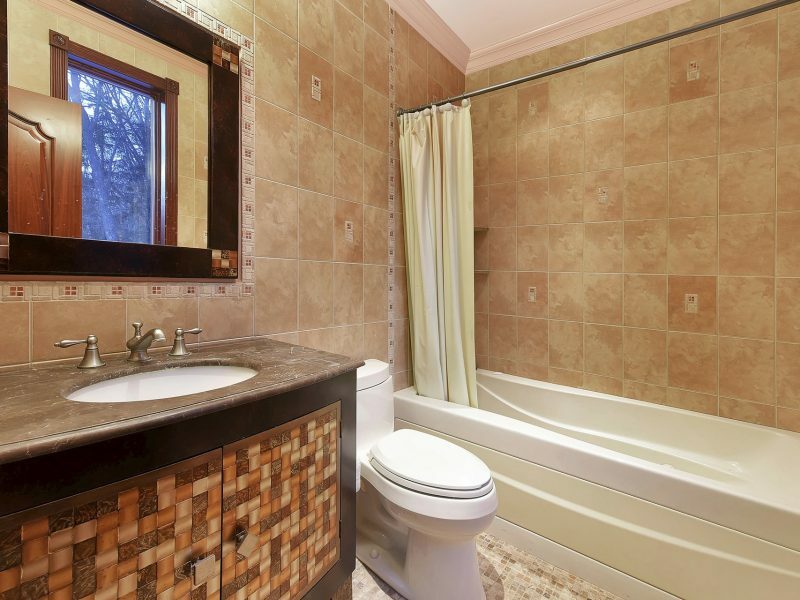 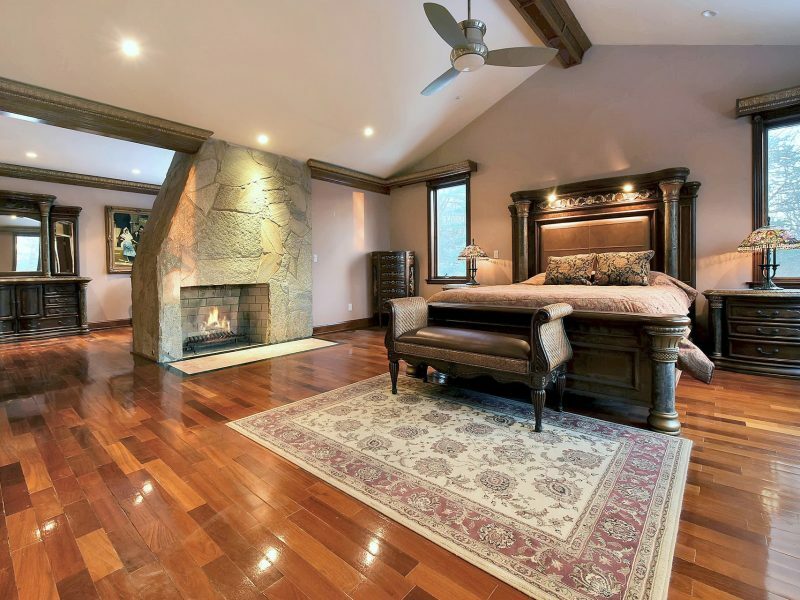 The master bedroom suite features a private sitting area, fireplace, gorgeous bathroom with whirlpool tub, steam shower and a massive walk-in closet. 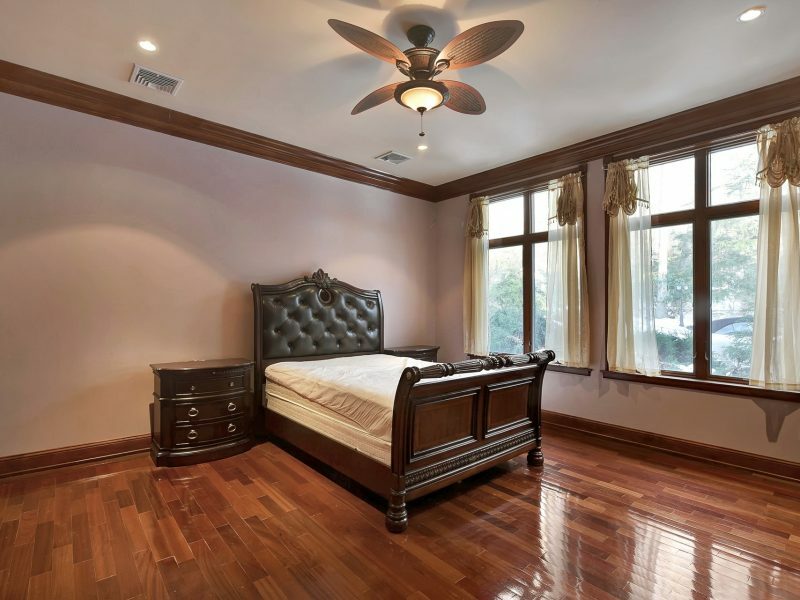 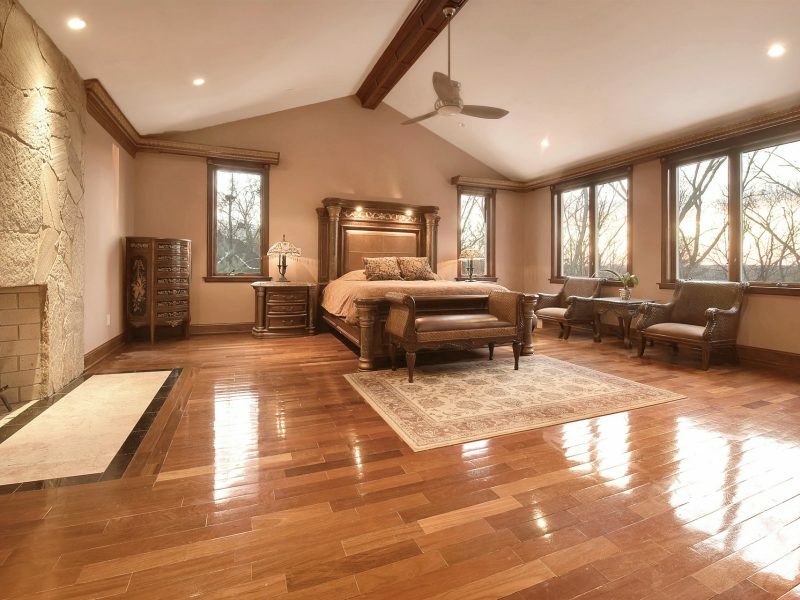 This is just one of the 6 spacious bedrooms, 6 full and 1 half baths throughout this luxury estate, each showcasing custom finishes and tiling. 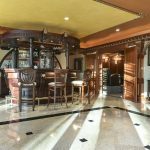 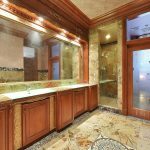 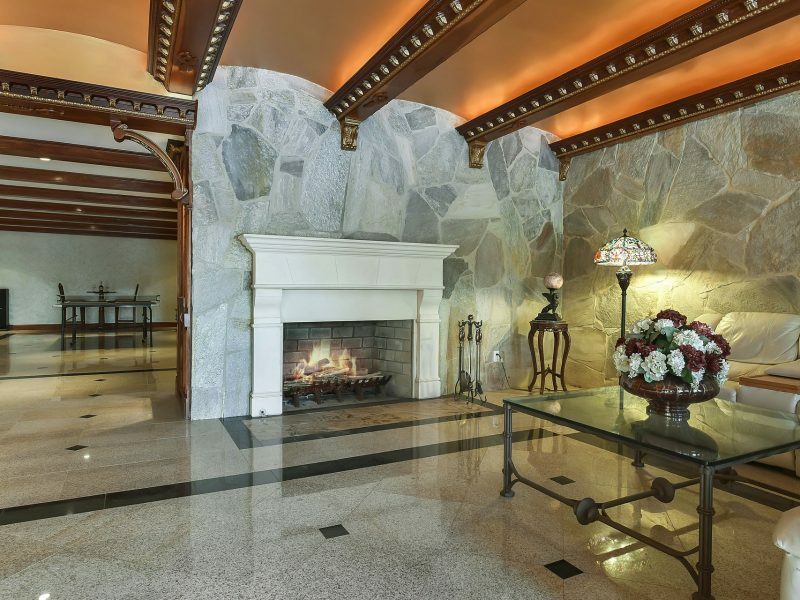 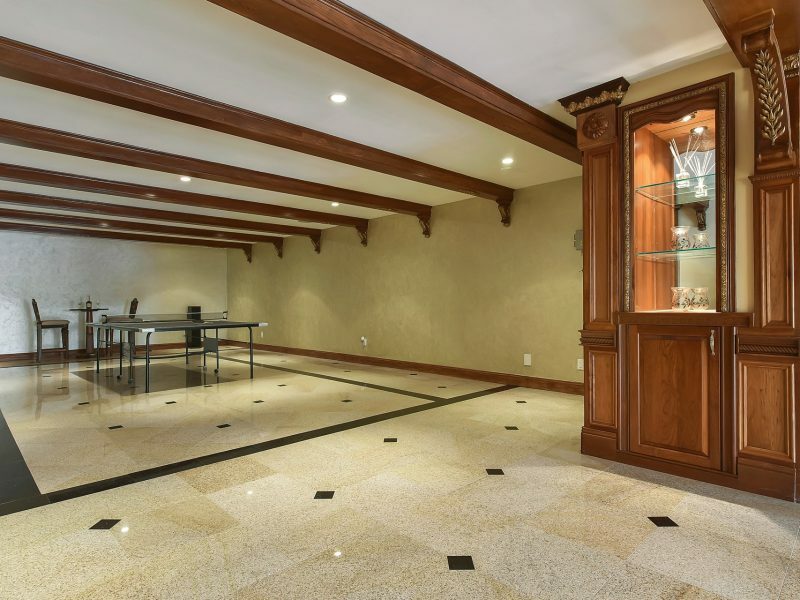 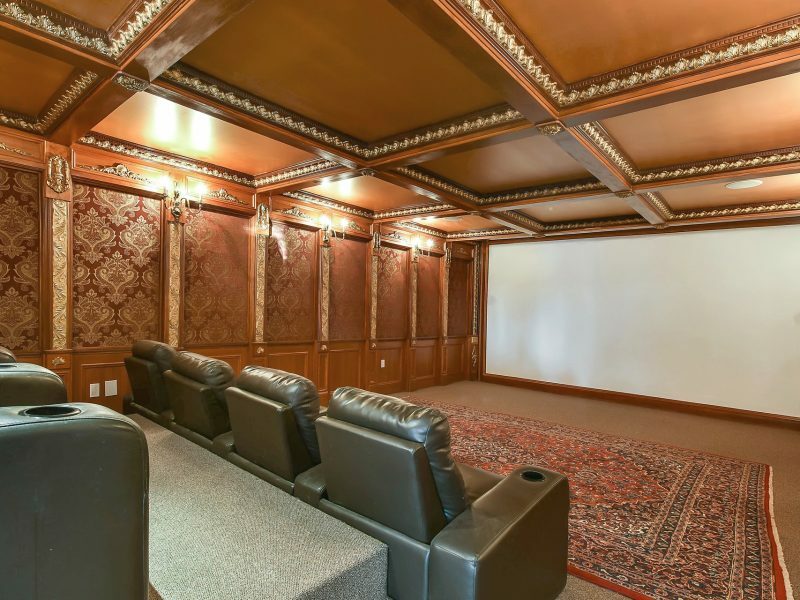 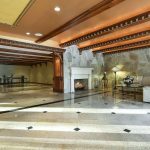 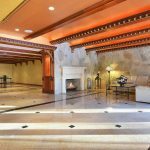 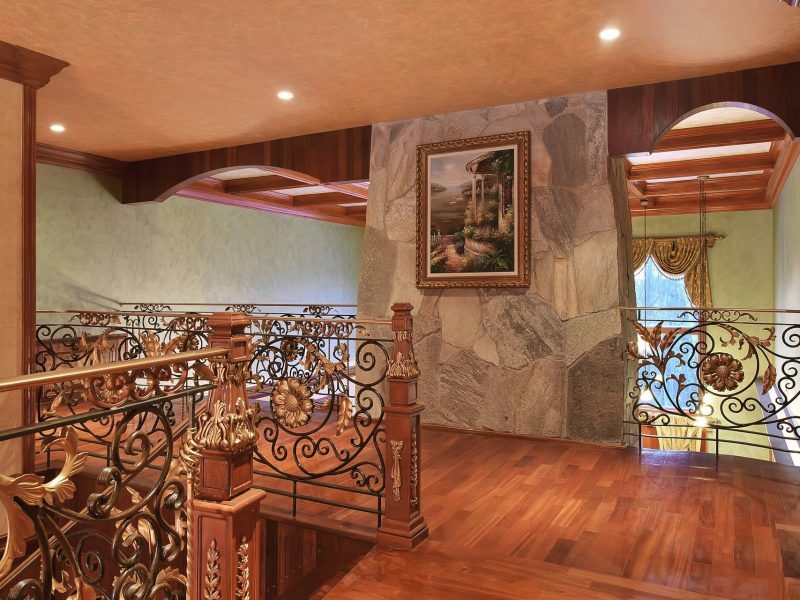 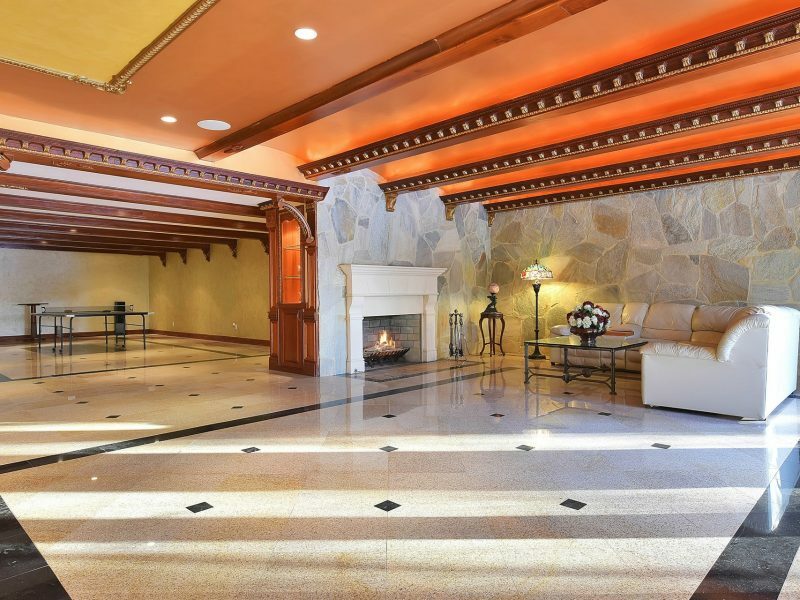 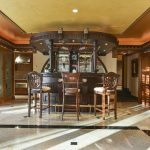 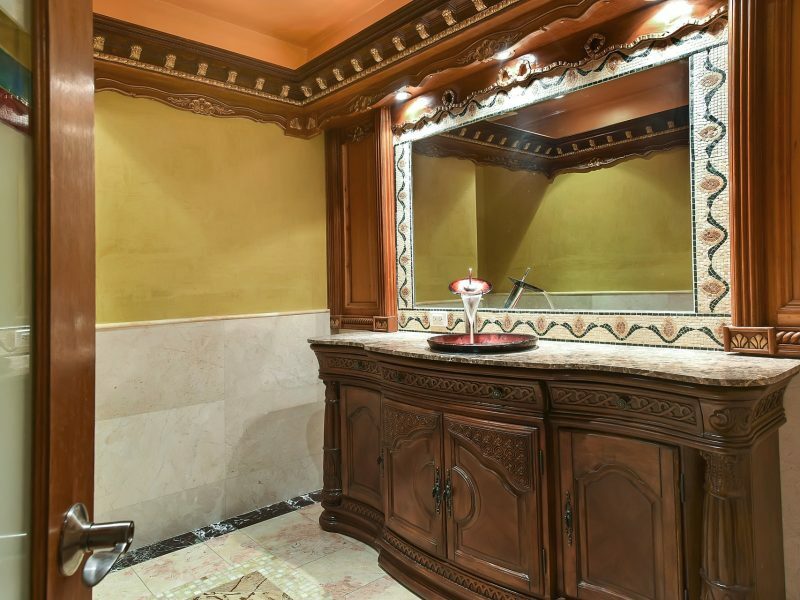 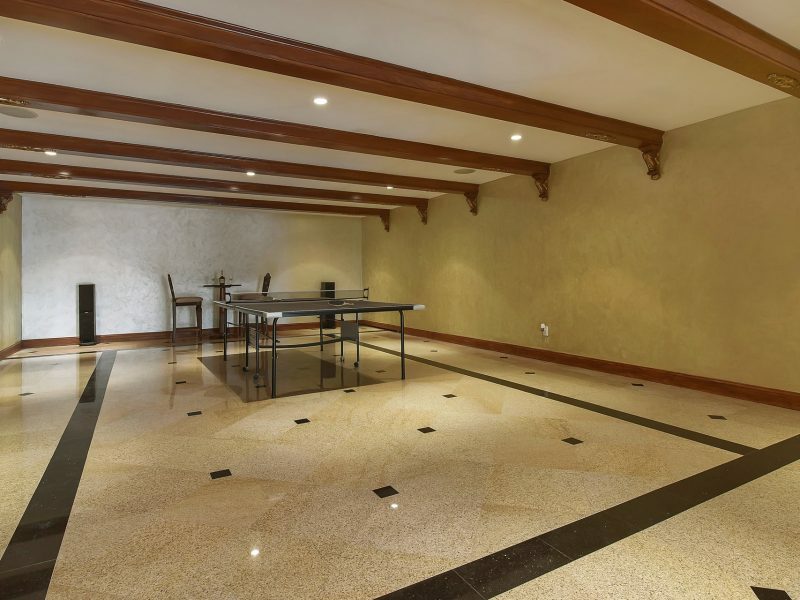 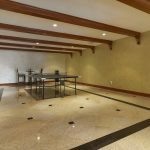 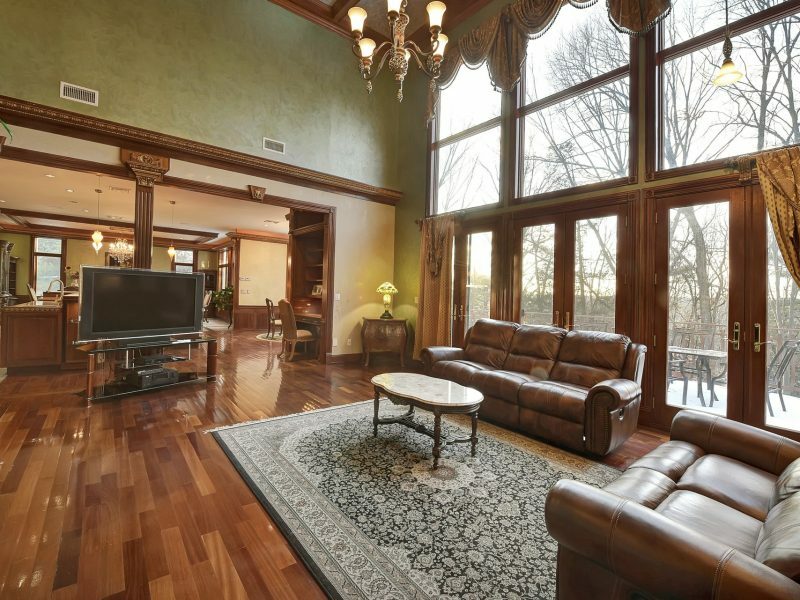 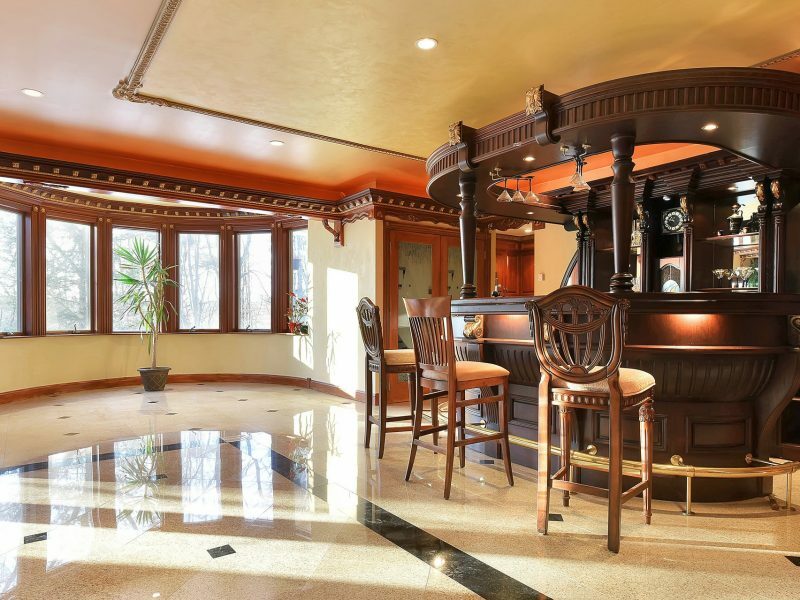 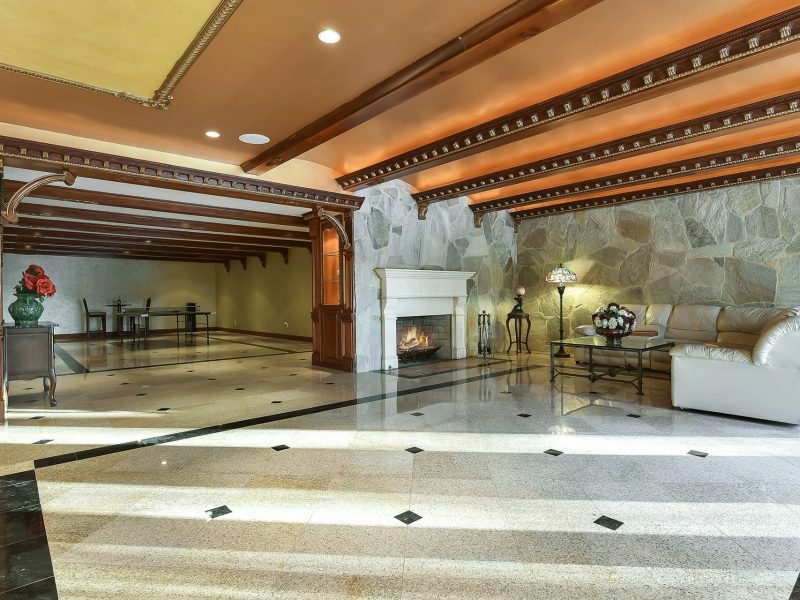 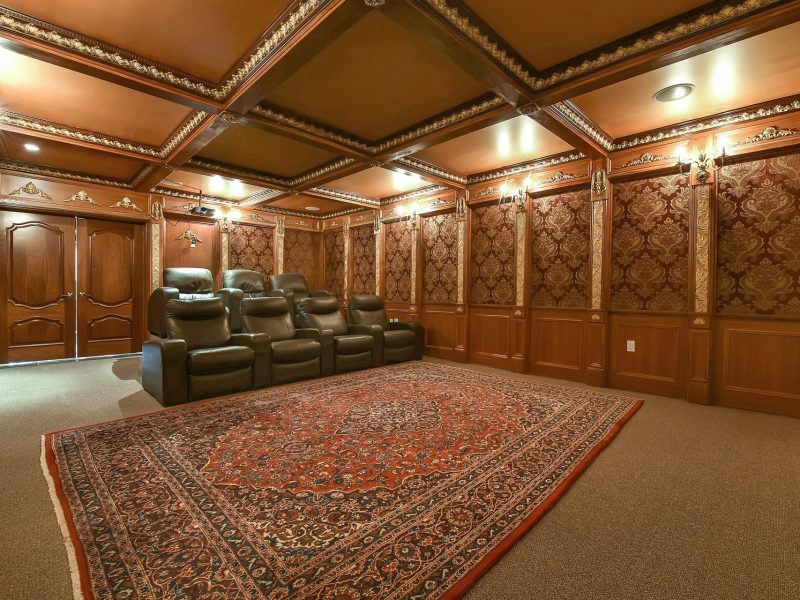 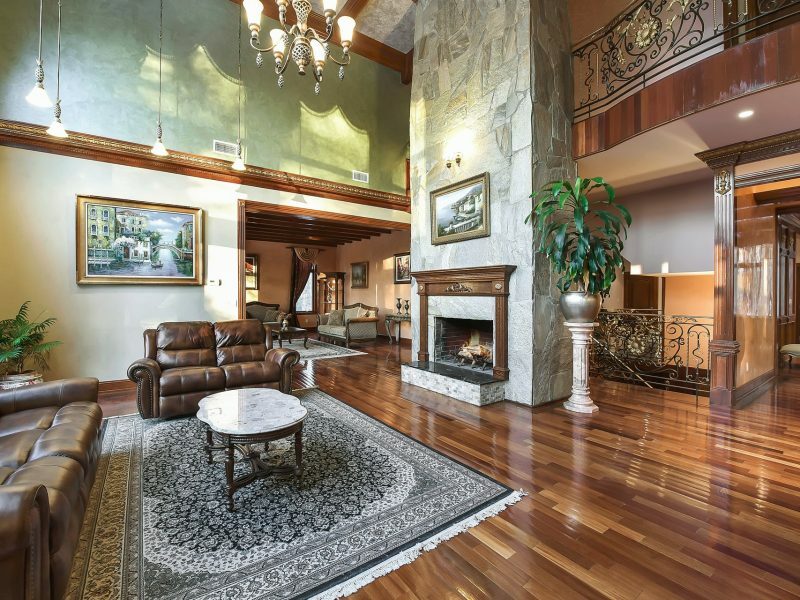 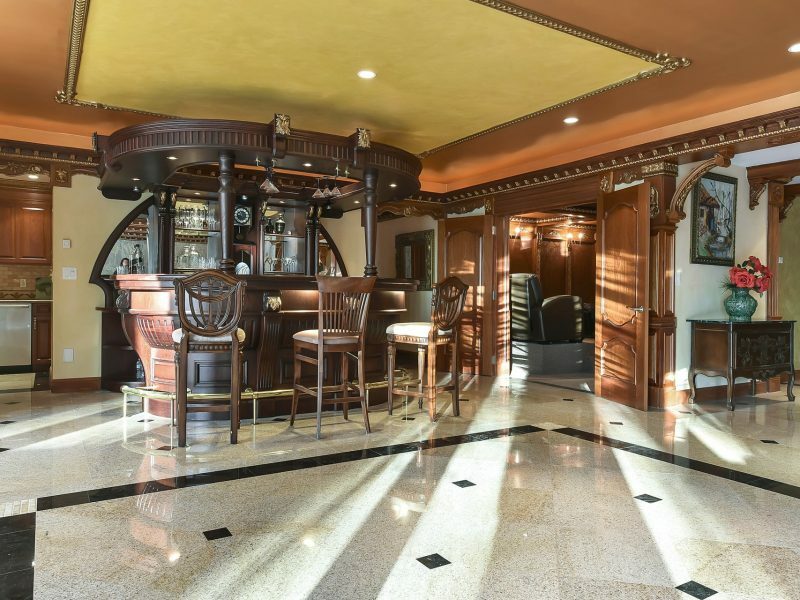 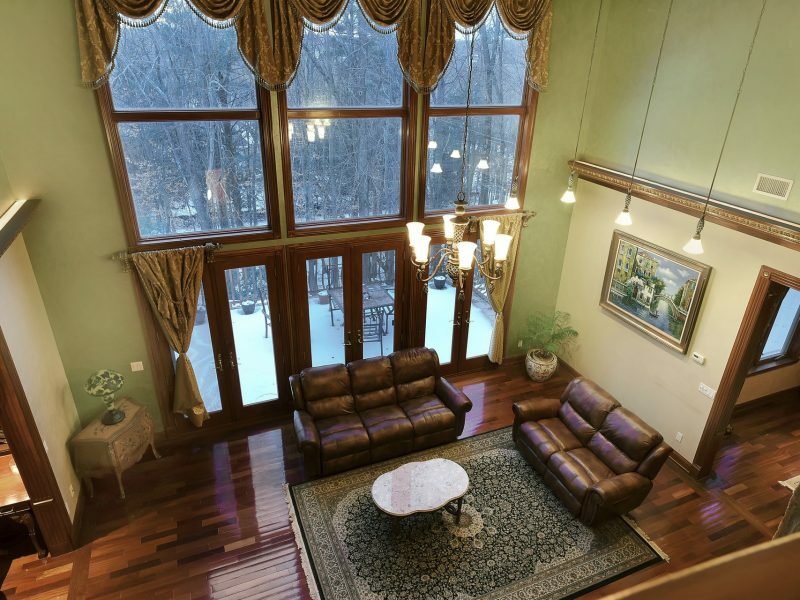 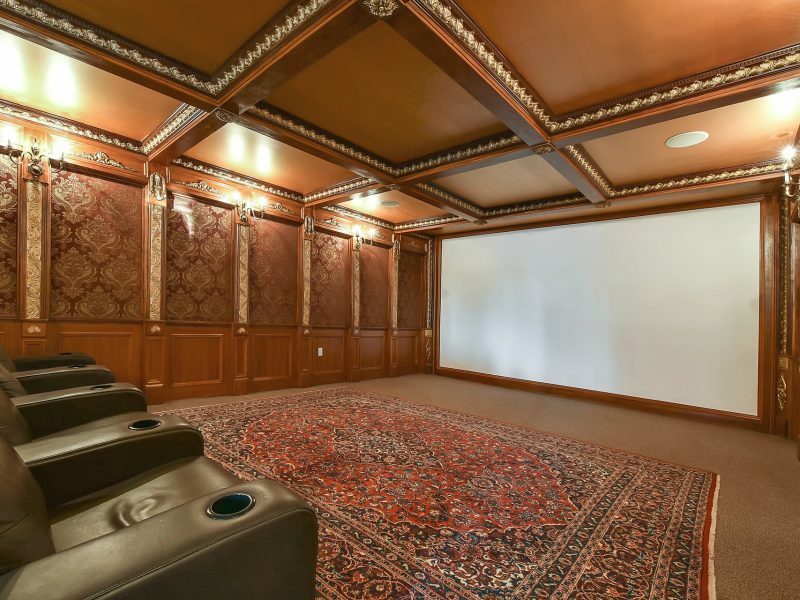 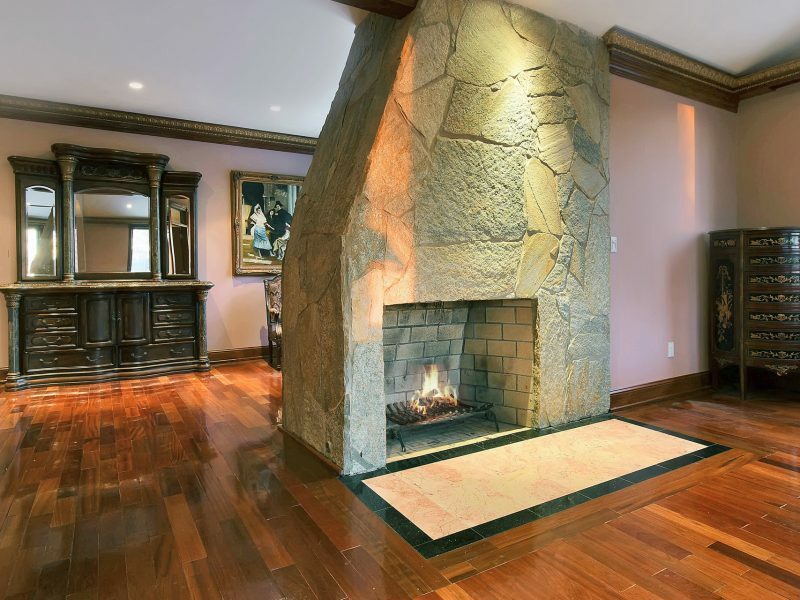 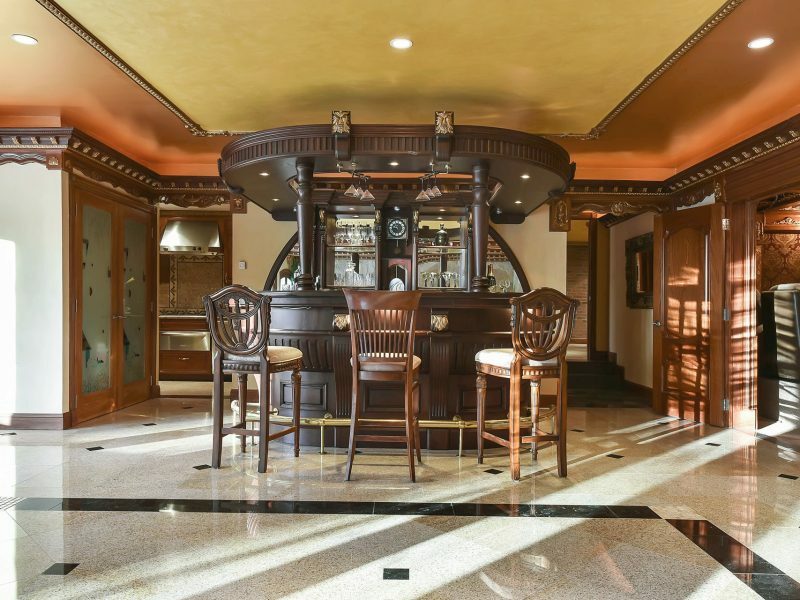 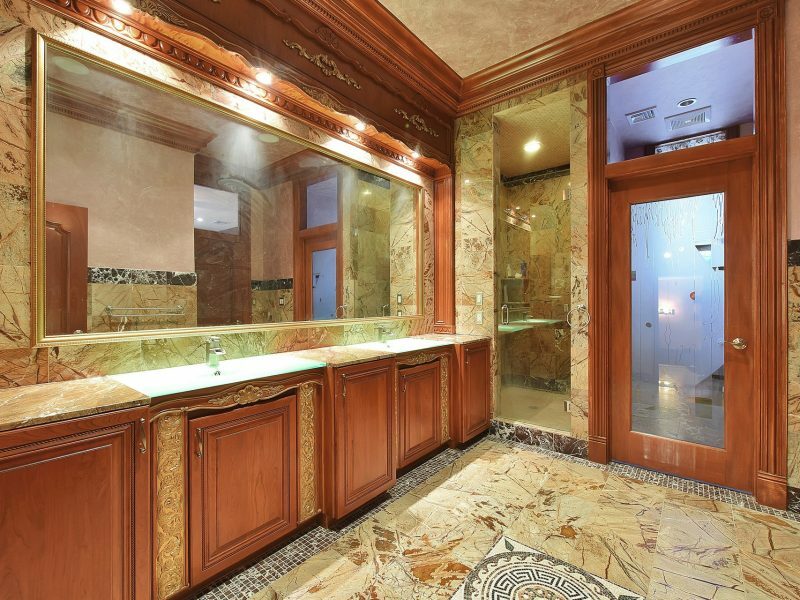 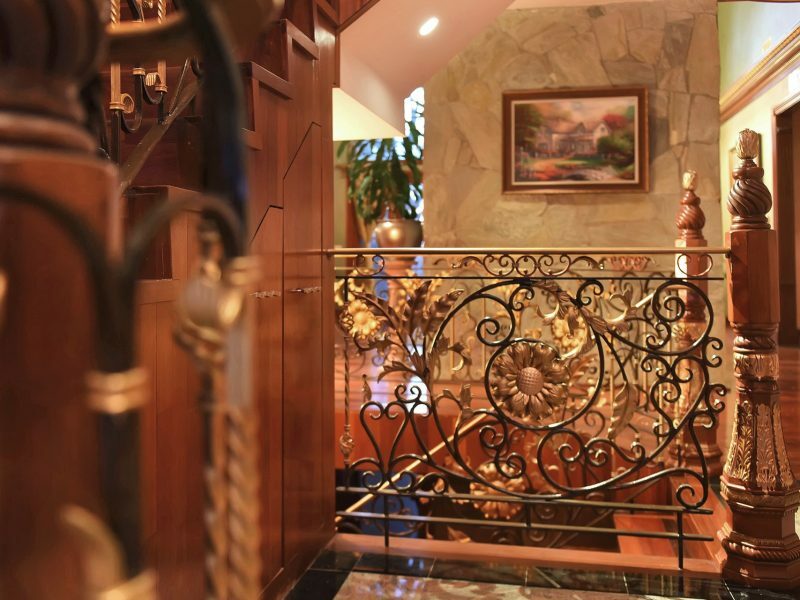 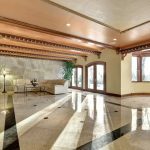 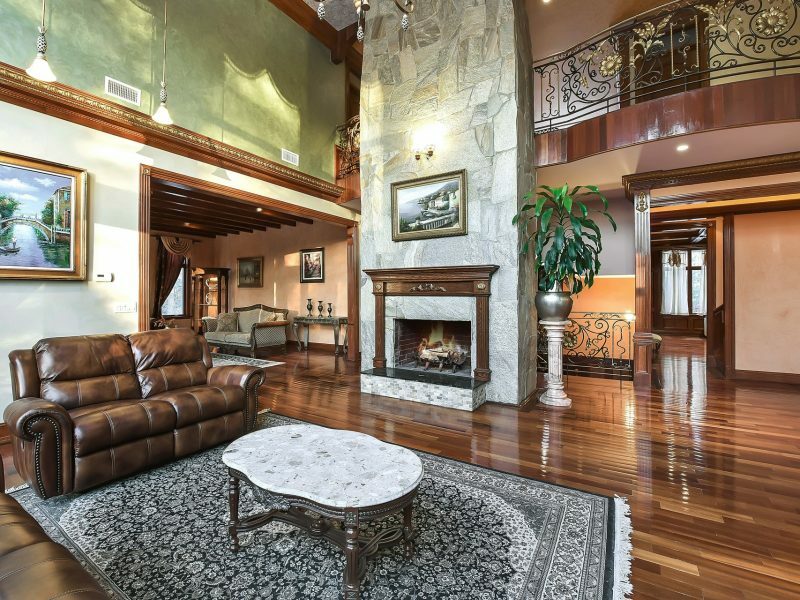 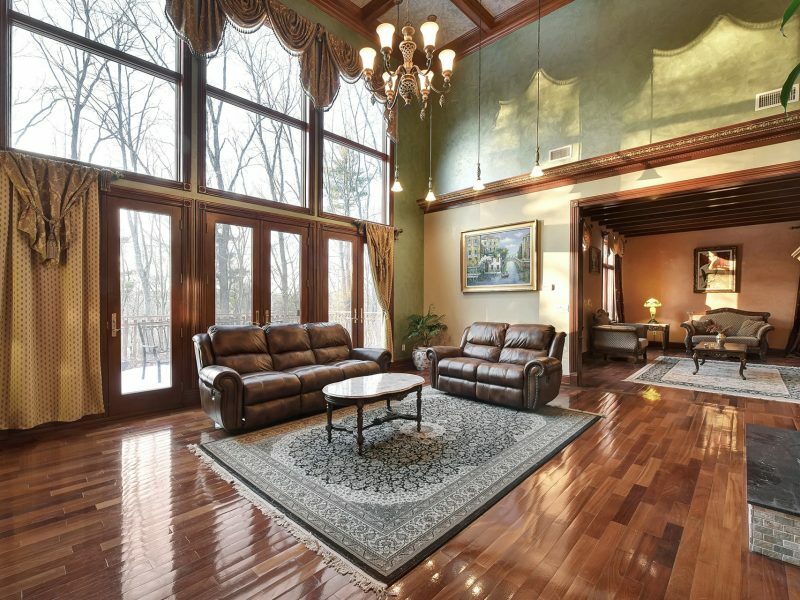 Walkout lower level with marble floors, movie theater and custom built bar. 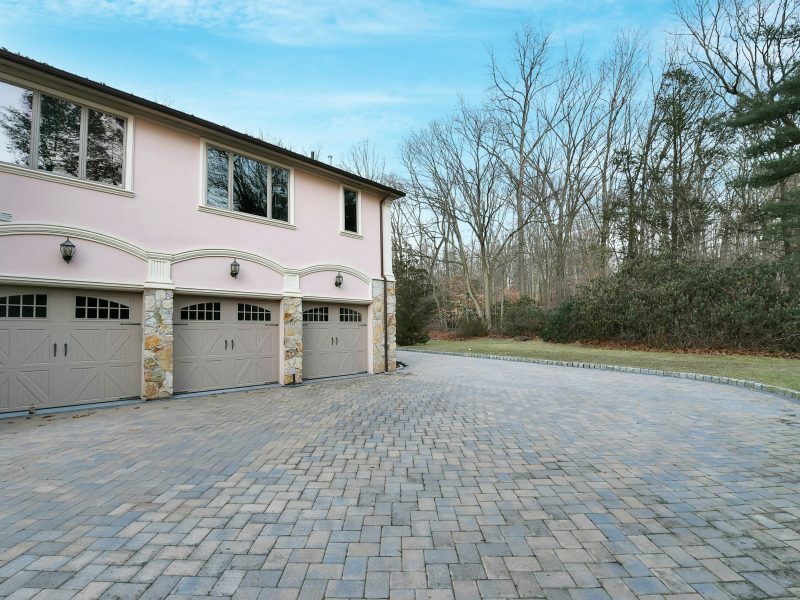 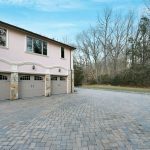 3 car garage, low taxes & much more.